Whether you have never touched a paper trimmer or you are the Queen of the Crop, Stamp & Scrapbook Expo has a workshop for you. We offer workshops for everyone from brave beginners to the most advanced paper crafters and everyone in between. Please review the workshop description as it will have specific items that will be required for your class. These general items may also be beneficial to have on hand, although not all of the items will be used in every workshop: 12 x 12 paper trimmer, scissors, hole punch, paper piercer, distressing ink pad, and a variety of adhesives such as glue dots, liquid adhesive, tape runner, foam dots. Baby wipes are also nice for your convenience. Seats in the workshop rooms are for guests who have purchased a ticket to attend that particular workshop. Only those guests who have a paid workshop ticket for that particular workshop may be in the room at the time the workshop begins. Unfortunately we do not allow any persons to stand in on or sit in the workshop rooms unless they have a paid ticket to that workshop (including children.) Babes in arms are the only exception. Missed workshops are not refundable. You must attend the workshop to receive the workshop kit. Kits are exclusive to the workshop and are not sold outside the classroom. You may inquire with the instructor between workshops or at the end of their workshop day to request a kit. Sometimes, the kits are not relevant without the instruction in the class. Often instructors do not have kits in their booths to distribute. It is between you and the instructor to receive a kit without the actual teaching time included. Also view our online Workshop Guide with even more info on the workshops…including photos! Download a PDF grid of the workshop schedule. A PDF Viewer is required to view. Looking for ways to add some interactive magic to your paper craft projects? In this class, you'll make five cards with sliders, spinners, pop-ups, and other moving elements. You'll also get to meet some of the cute critters from Technique Tuesday's brand new Animal House stamp set and die collection. You'll receive an exclusive FREE stamp set that you can only get in this class kit and is yours to keep. You will leave class ready to use these techniques on memory-keeping projects, invitations, party décor, and more. So what are you waiting for? 1, 2, 3... come take this class with me! You will also receive a 10% off discount coupon to the Nicole Petersen Designs booth good for the entire show. And Technique Tuesday loves to give away door prizes! We always send our latest and greatest stamps and dies to be given away. What products will be highlighted: You will learn techniques for creating sliders, pop-ups, spinners, and other moving elements. You'll leave class with at least five cards plus an exclusive stamp set that is yours to keep. What will I learn or complete: Five cards and a stamp set by Technique Tuesday. What do I need to bring: Paper trimmer, adhesive - wet and dry (No Zip-Dry, please), foam tapes or squares, double-sided tape, scoring board with bone folder, medium clear block, and baby wipes. What techniques will I learn or use: You will learn techniques for creating sliders, pop-ups, spinners ,and other moving elements. 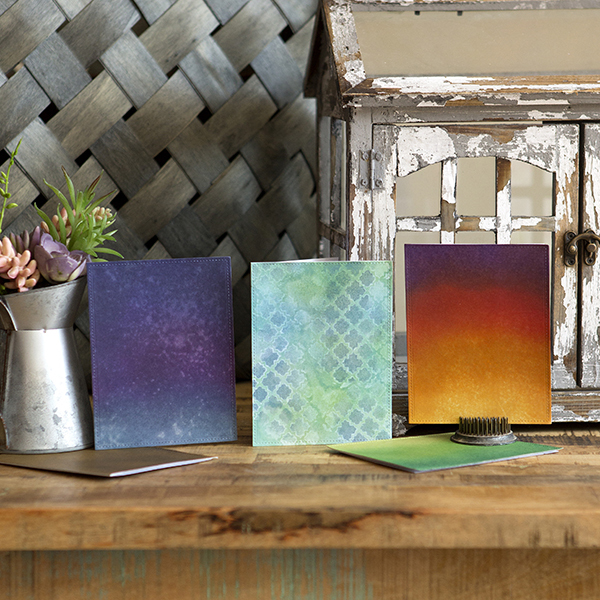 Amp up your card making with some great embossing backgrounds and inking ideas! 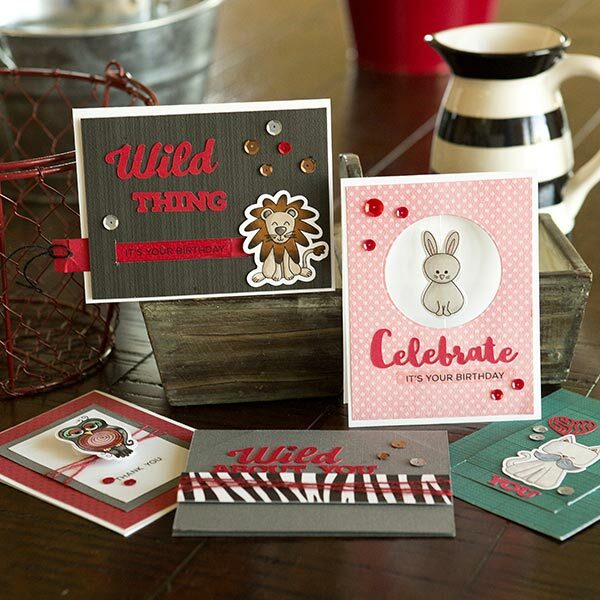 Join us as we create four amazing and completely different cards loaded with creativity. 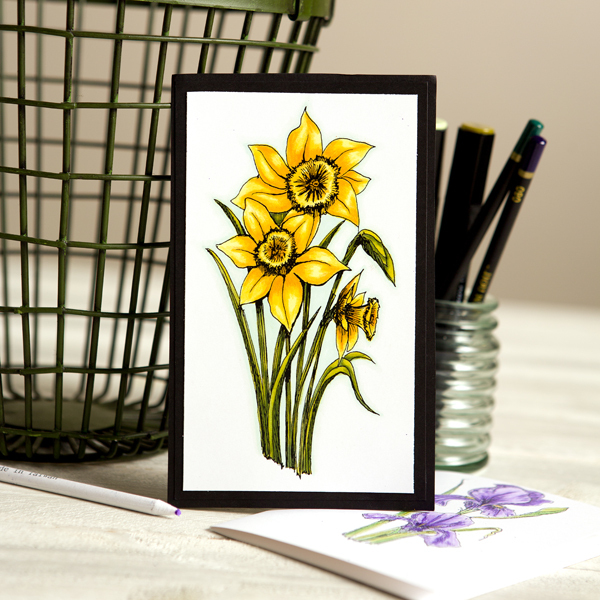 Karen has brand new designs for 2016 that will take your card making to the next level. This technique-based class will show you new products, fun designs, and great tips. "Bee" inspired creating with shimmer papers, embossed backgrounds, Wink of Stella, sanded and embossed designs, inks, Fuse Tool shaker pockets, and die cut layering, to name just a few. You will leave with four beautiful completed cards – birthday, thank you, holiday, and a wine lover's card! Plus, you'll get FREE goodies in class to keep: an adhesive tape runner and foam squares from top quality brand Scrapbook Adhesives by 3L, plus an embossing folder – a $15 value! Get ready for card making fun, freebies, great prize giveaways, and a valuable coupon to use in the Bee Creative booth. What products will be highlighted: Embossing folders, sanding, inks, paper layering, Fuse Tool, Wink of Stella, shimmer papers, and much more. What will I learn or complete: Four unique cards. What do I need to bring: Scissors. What techniques will I learn or use: Lots of product education and techniques to achieve unique cards integrating embossed backgrounds and inks. Come join us for a fun-filled class where we will show you a selection of techniques to add color and sparkle to your scrapbook pages. You will learn three different techniques using Gelatos – dry rub, wet rub, and painting using a Faber-Castell Deluxe Water Brush. You will also use a variety of types of adhesive with glitter to create three adorable scrapbook pages along with two Christmas cards. Materials will be provided; just bring your favorite paper trimmer. Every attendee will receive their own Faber-Castell Deluxe Water Brush (retail value $10.45). As a special bonus, you will receive a coupon for 10% off a purchase of $50 or more in our booth. What products will be highlighted: Laser cuts, Gelatos, and adhesive. What will I learn or complete: Three 12 x 12" page layouts and two Christmas cards. What do I need to bring: Paper trimmer. What techniques will I learn or use: How to cut paper and lay out pages. Three different techniques using Gelatos – dry rub, wet rub and painting. Using different types of adhesive with glitter. 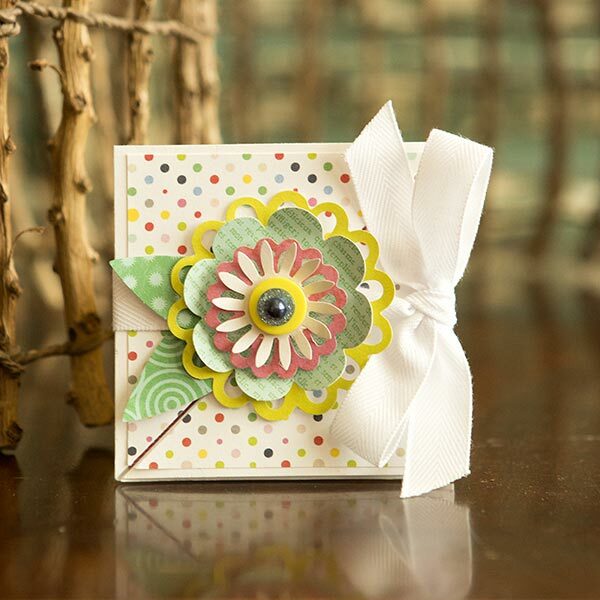 Come join us for a fun card creations workshop using Memory Box and Poppy Stamps dies! You will be amazed at how detailed these dies are and how they will look on your completed projects. Along with the wafer thin dies, you will be working with acetate, foil cardstock, outline stickers, and bling. 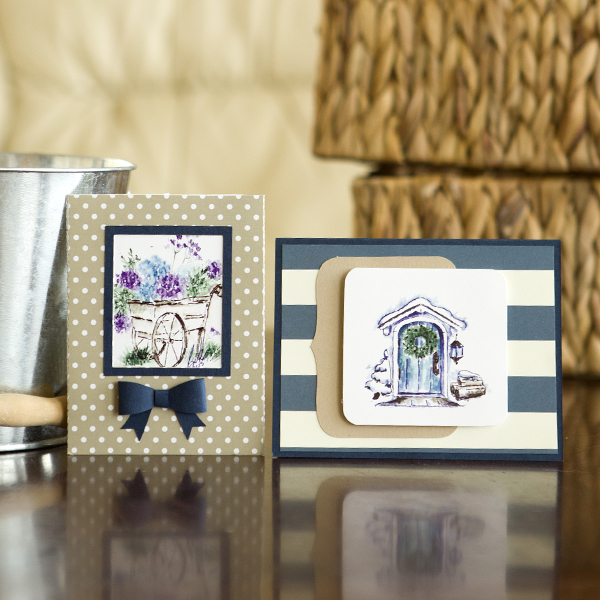 You will leave class with three amazing cards and a die designed by Memory Box exclusively for Craft Fancy (a $15 value). Get ready for a creative card making workshop experience, prize giveaways, and a special discount to use at the Craft Fancy booth! What products will be highlighted: Wafer thin dies, acetate, foil cardstock, outline stickers, and bling. What will I learn or complete: Three completed cards and a die designed by Memory Box exclusively for Craft Fancy. What do I need to bring: Non-stick craft mat, detail scissors, tape runner, liquid adhesive with precision tip/glue pen, micro glue dots, bone folder/Scor-pal, ruler, and tweezers. What techniques will I learn or use: You will learn card creation with acetate. Want to give an extra special love note to your sweetheart or child this year? How about a classier way to give cash, a gift card, or even a pre-paid credit card to a friend or loved one? In this class, you will learn how to add hidden pull strip pockets to cards, tags, and even gift bags in five easy steps on the five cards and tags you will make. Your class kit will include an exclusive Technique Tuesday stamp set that is only available to people who take this class. You'll use that stamp set and the techniques you learn to add a little zip and a lot of flair to your next project! You will also receive a 10% off discount coupon included in class for the Nicole Petersen Designs booth on the show floor. And Technique Tuesday and Nicole Petersen both give away door prizes in this class for double the chances to win! What products will be highlighted: Technique Tuesday's collection of pull strip steel dies and coordinating stamp sets with BoBunny patterned paper. What will I learn or complete: Five cards and/or tags. What do I need to bring: Basic tools such as a paper trimmer and scissors, repositionable tape runner, extra-strong dry and wet adhesive (no Zip-Dry, please), two clear acrylic blocks (one at least 5.75" long and a medium size block), and baby wipes. Optional: Score board and bone folder. What techniques will I learn or use: Stamping, die cutting, layering, and embellishing to create hidden pockets for cash, gift cards, or love notes in cards, tags, and even gift bags. Whether you've colored before with alcohol markers like Copics or Spectrum Noir, or are curious about getting started, this class will introduce you to both alcohol markers and colored pencils. Karen will talk about the Spectrum Noir marker system, how it compares to other brands, other supplies that will lead to successful coloring, and then take you and your brand new pens you receive in class through a "how-to" to get a smooth blend. Great tips will also be shared. You'll also learn the four ways you can use colored pencils, with markers or without, and try a great watercolor technique – without water! In addition to product information, you'll take with you six Spectrum Noir markers (a $12 value). You'll also receive a special coupon to use in the Bee Creative booth. Come join us for education, hands-on technique, and great giveaways! What products will be highlighted: Coloring education and techniques with both alcohol markers and colored pencils. What will I learn or complete: Colored stamped images along with six free markers. What techniques will I learn or use: Smooth blend coloring techniques with markers, colored pencil layering on markers, colored pencil blending without water. Are you a glamour girl who loves shaped cards with petite florals and accents of soft coral and gold? In this class, you will learn how to shape itty bitty flowers (a perfect accent for the All Glammed Up Collection), how to create, color, and decorate the shaped shoe card in a quick and easy time frame, and how to add glitter and prills for the perfect finishing touch. These cards are wonderful for special occasions just begging for the perfect glamour girl card. A super knowledgeable and friendly instructor will provide step-by-step instructions and you will receive full color written instructions. Heartfelt Creations classes are always loaded with creative techniques and you will leave with fresh inspiration, as well as a coupon for a free Cling Stamp Set of your choice (a $19.99 value) redeemable at our booth. A $40.00 prize drawing will be held during each class. What products will be highlighted: Cards, crafting, stamping, die cutting, and inks. What will I learn or complete: Three cards. What do I need to bring: Favorite adhesive, scissors, and foam dots. We recommend bringing a 12 x 12" carrying container that you can use to carry the 3D cards after class. What techniques will I learn or use: Flower shaping and coloring techniques. In this fun and technique-driven class, you will make a beautiful 6 x 6" canvas using texture paste, coloration sprays, and other dimensional mediums by Art Anthology. You will learn how to create a background full of texture and use mediums to "patina" a metal applique from Melissa Frances' Flea Market Finds. Join us to learn how to incorporate mixed media into your crafting repertoire and leave with a gorgeous home décor item created by you! What products will be highlighted: Art Anthology dimensional mediums. What will I learn or complete: 6 x 6" mixed media canvas. What do I need to bring: Liquid adhesive such as Beacon 3-in-1 or FabriTac and a heat tool (optional). What techniques will I learn or use: Using mixed media to create a gorgeous canvas. In this technique-driven class you will dive into the world of Art Anthology Mixed Media. You will play with the whole line of products that Art Anthology offers. You will learn when, where, and how to use these fabulous products. What products will be highlighted: All Art Anthology mixed media products. What will I learn or complete: An Art Journal Technique Book. What do I need to bring: Apron, gloves (optional), and heat tool if you have one. What techniques will I learn or use: Mixed Media techniques. Learn to create beautiful watercolor paintings using rubber stamps, markers, and a brush! For several years, Art Impressions has introduced stampers all over the world to our exclusive technique that creates beautiful watercolor scenes. They are easy to create and versatile for all users. Each person can make these beautiful scenes their own; no two designs are alike. In our watercolor class, you will create four card samples with our new Watercolor Mini Project Series. Our instructors will take you step-by-step through creating scenes and techniques with hands-on training. The course fee includes an exclusive stamp set valued at $20! What products will be highlighted: Rubber stamps, watercolor markers, brushes, and watercolor paper. What will I learn or complete: Four completed watercolor images to mount on four cards. What do I need to bring: Scissors or paper trimmer, foam tape, tape runner, and corner rounder (optional). What techniques will I learn or use: How to watercolor with stamps. One of the hottest trends in the world of paper crafting is working with beautiful colors of ink to create your very own masterpieces. Come join Nicole Petersen and learn just how easy it is to add ink blending to your card making, altered art, and scrapbooking designs. In this informative and hands-on workshop, you will spend the hour playing with Ranger Distress Ink and learning about Distress Ink watermarking, rainbow coloring, and creating ombre backgrounds - amazing ink blending techniques you can apply to any project. You will leave class with a completed tag booklet and color combination recipes you will reach for over and over. Plus, your kit will also include TWO bonus recipe cards for you to experiment with at home! What products will be highlighted: Ranger Distress Ink, Ranger Watercolor Paper, and ink applicators. What will I learn or complete: An ink blending tag booklet with color combination recipes. What techniques will I learn or use: Ink blending of Ranger Distress Ink to create five different backgrounds that can be applied to card making, mixed media, and scrapbooking. 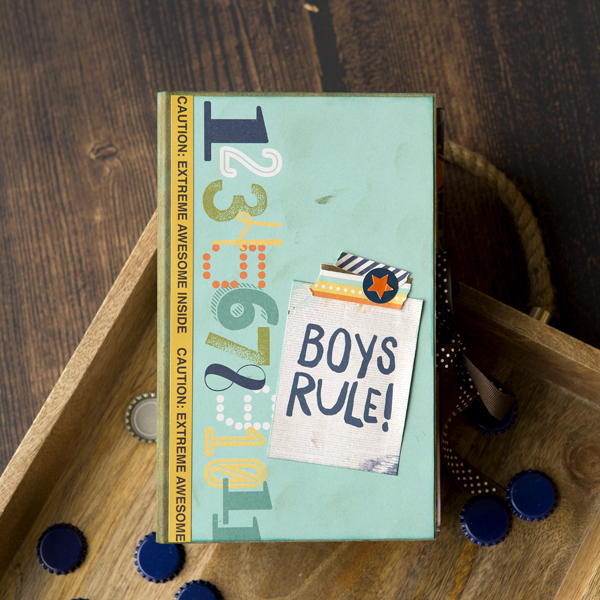 Boys Rule! This awesome album is created with the Rad collection from Simple Stories. This is a great album for the boys and men in your life. The graphics and images in this album are best suited for boys 6-90. It is not toddler or little boy based. The 6 x 10" Chunky Album is a great way to showcase a lot of photos of your guy or guys. What products will be highlighted: Rad collection from Simple Stories and the 6 x 10" Chunky Album from Pinecone Press. What will I learn or complete: A Boys Rule album. What do I need to bring: 12" trimmer, scissors, adhesives, warm brown or black ink, and Red Line Tape. What techniques will I learn or use: Adhering pages into the 6 x 10" Chunky Album and layering pages. 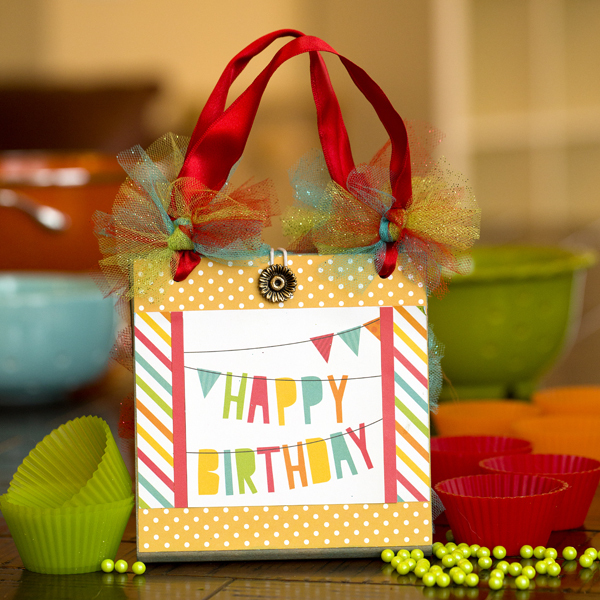 Join Quick Quotes for a fun-filled class using our NEW Whistlin' Dixie paper and embellishments. For those of you who love the water, this class has several options to make it the theme of your choice. We will make a four-tier book that will house lots of photos and be something different than you have ever put onto a page. We will finish two pages in class and you will get two additional coordinating pages that are a gift for you to take home. Whether it be a cruise, a tropical island, or lakeside getaway, this is the perfect class! Alternate theme titles included in kit are: By the water's edge, we forget to count the days. May you have fair winds and following seas. Live in the sunshine...swim in the sea...drink the wild air. 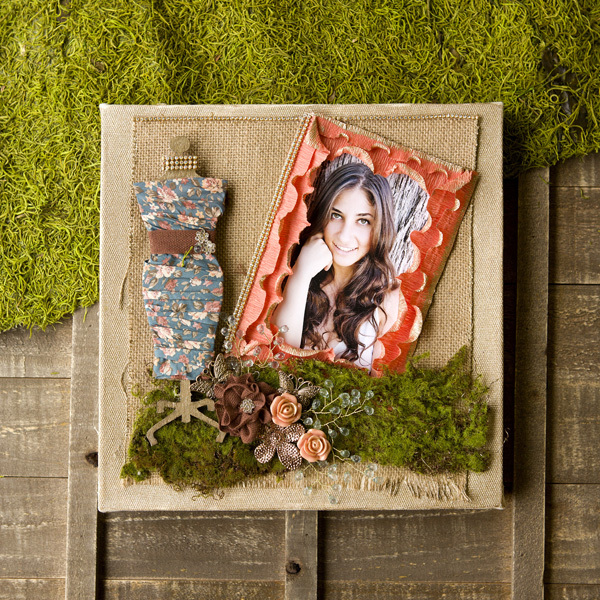 What products will be highlighted: Using chipboard, bling, and acrylic embellishments. What will I learn or complete: You will make two pages in class and you will get two coordinating pages to take home as a gift. What do I need to bring: Powder Puff Chalk Ink Suggestions: Sky Blue, Barnboard, Light Moss Basic Supplies: Trimmer, scissors, and adhesive. What techniques will I learn or use: We will make a four-part extension book that will go on page one and holds lots of photos. Come Celebrate the Magic as we create this happy 5 x 7" Chunky Pocket and Tag Disney album. Each page is a pocket with a tag that pulls out. You will be creating and embellishing the pockets and creating flaps and tags to hold your favorite Disney pictures. A perfect way to capture your magical trip! What products will be highlighted: Pinecone Press Chunky 5 x 7" Pocket and Tag Album, Pinecone Press Happy (Disney) paper collection, and Red Line Tape. What will I learn or complete: 5 x 7" Chunky Pocket and Tag Disney Album. What do I need to bring: 12" paper trimmer, scissors, adhesives, and Red Line Tape. What techniques will I learn or use: You will be creating pockets and then adhering the pockets into the spine of the album, along with creating flaps for the back of the pocket pages. 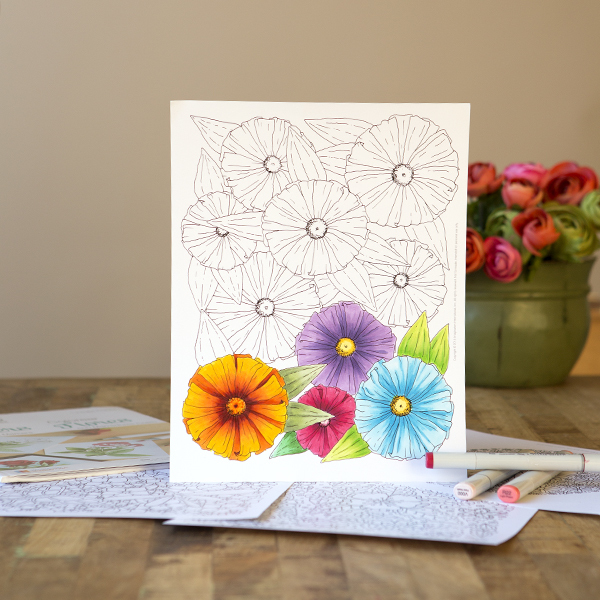 Learn how the Copic professionals color as we go through the Copic Coloring Flowers Book and Flower Line Art Pages learning techniques to shade and blend your way to professional looking flowers! Our instructor will give you hands on learning as we complete as many techniques in the book as time will allow. You will receive a Copic Coloring Flowers book, a Copic Fine Line Art Pack, handmade glitter paper and images from Krazy Kreations, and a $15 gift certificate redeemable at the Krazy Kreations booth. You should bring a supply of Copic Markers to class (limited class packs will be available for students who do not have any Copic Markers). Recommended class colors are trios of green, yellow, blue, purple and pink. What products will be highlighted: Learn how to shade and blend on paper with Copic Alcohol Ink Markers. What will I learn or complete: This is a technique-driven class. You will not complete a project in class. What do I need to bring: We recommend that you bring your own Copic markers to get the best experience. Trio packs of blues, yellows, greens, purples and pinks are suggested. What techniques will I learn or use: Learn how to shade and blend many different ways with your Copic Alcohol Ink Markers. Join us in this technique-filled workshop and create four cards using Sparkle N Sprinkle glitters, flocking, and stamp sets. You'll be stamping on embossable acetate, creating cool backgrounds with dies, and learning how to make great shaker cards. You will also get your hands on brand new Crystal Drops, as well as make your own enameled dots. Come see what all the buzz is about with digital stamps and so much more! What products will be highlighted: You will learn stamping techniques and how to create a shaker card, as well as how to use Crystal Drops, flocking, glitter, and embossable acetate. What will I learn or complete: Four cards, two bottles of glitter, two bottles of flocking, Quicky Glue Pen, stamp set, 1/4" Tear-ific Tape, Crystal Drops, and glitter brush. What do I need to bring: Acrylic block, black dye ink, and scissors. What techniques will I learn or use: How to create glitter backgrounds, make your own enameled dots, glitter your stamp design, stamp on acetate, create shaker cards, create glitter accents, work with digital stamps, and more! Calling all dog or cat owners, this album is for you! Create either a dog or cat album with the beautiful Devoted collection from Authentique. The album is our 6 x 8" Chunky album and there is a lot of room for photos of your fur babies. For the dog lovers, this album is not breed specific. Your photos of your beloved animal's breed will set the tone of your album. The same for you cat lovers. In the album there are not printed graphics and icons of cats, only a silhouette. Your cat will be the star. What products will be highlighted: Pinecone Press chunky albums and the Devoted collection from Authentique. What will I learn or complete: A Devoted cat or dog album. What do I need to bring: 12" paper trimmer, scissors, adhesives, dark brown or black ink, and Mega red-line tape. What techniques will I learn or use: Adhering pages into a chunky album. Come join us for a fun Die Cut Discovery workshop using wafer thin dies designed by Memory Box exclusively for Craft Fancy. You will be amazed at how detailed these dies are and how they will look on your projects. You will be using foil on all of your projects during class along with using Poppy Stamps. You will leave with three amazing cards, plus you will receive a FREE Poppy Stamps stamp set - a $15 value. 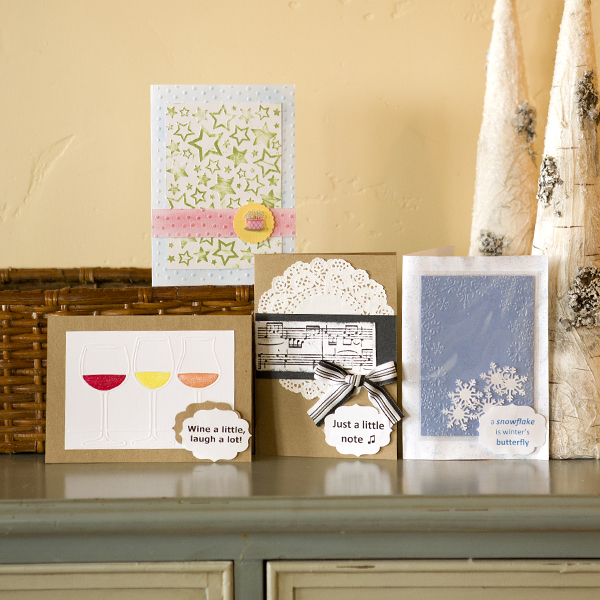 Get ready for a great creative cards workshop, prize giveaways, and a special discount to use at the Craft Fancy booth! What products will be highlighted: Wafer thin dies designed by Memory Box exclusively for Craft Fancy and Poppy Stamps stamp sets. What will I learn or complete: Three completed cards and a Poppy Stamps stamp set - a $15 value. What do I need to bring: Non-stick craft mat, detail scissors, tape runner, liquid adhesive, foam tape, micro glue dots, bone folder/Score Pal, brown ink pad, acrylic block for clear stamps, ruler, and paper trimmer. What techniques will I learn or use: You will learn card creation with foil. Would you like to take your flower shaping to the next level? In this class, you will learn how to use the flower curling tip to create beautiful Enchanted Mums. This technique takes practice and during this 1½ hour class, we have allotted extra time to learn the ins and outs of shaping these dimensional flowers as well as other flowers you might already have! These flowers will be attached to three elegant and beautiful cards that will be accented with glitter and prills for the perfect finishing accents. You will learn how to blend two tones of ink to create the perfect color combo for these flowers. A super knowledgeable and friendly instructor will provide step-by-step instructions and you will also receive full color written instructions. Heartfelt Creations classes are always loaded with creative techniques and you will leave with fresh inspiration, as well as a coupon for a free Cling Stamp Set of your choice (a $19.99 value!) redeemable at our booth. A $40.00 prize drawing will be held during each class. 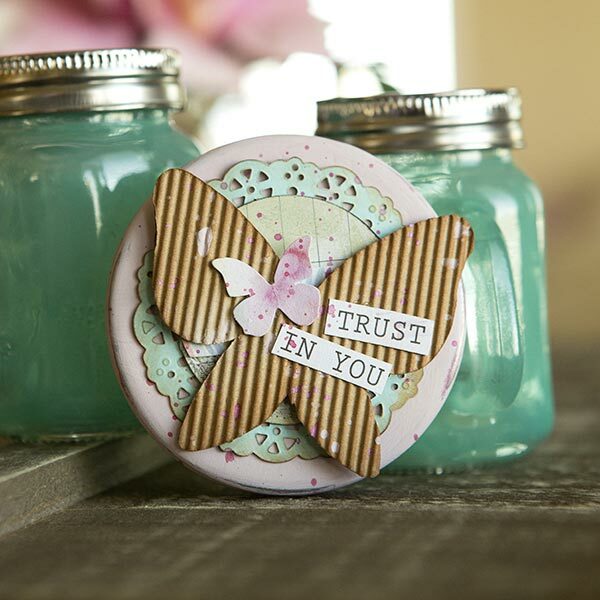 What products will be highlighted: Heartfelt Creations stamps, dies, and flower curling tool. What do I need to bring: Favorite adhesive, scissors, and foam dots. We recommend bringing a 12 x 12" carrying container that you can use to carry the 3Ds card after class. What techniques will I learn or use: You will learn how to use the flower curling tip to create beautiful dimensional flowers and blend two tones of inks together to create the perfect color combo for these flowers. Fabulous Finds: Krazy Kreations/Scrap That! Sponsored by: Krazy Kreations & Scrap That! Presenting all the Fabulous Finds in the Krazy Kreations and Scrap That! booths! Join us in class as we spend the hour highlighting our newest, hottest, and most sought after items. We will demonstrate techniques and display lots of sample projects that are sure to fill your mind with tons of creativity! And best of all, each student will be given project sheets with instructions, photos, and shopping lists to recreate our one-of-a-kind Fabulous Finds samples! Over $125 of product goodies will be distributed to each class participant. This class is lecture only, so there are no supplies required. What products will be highlighted: You will learn how to use the many different products and tools located in the Krazy Kreations and Scrap That! booths. What will I learn or complete: You will leave with project sheets of instruction, photos, and shopping lists to recreate the various samples discussed in class. You will also receive a goody bag of products valued at over $125. What do I need to bring: No; lecture only. What techniques will I learn or use: How to use the many fabulous finds in the Krazy Kreations and Scrap That! booths. Fancy Pants Mixed Media Album! 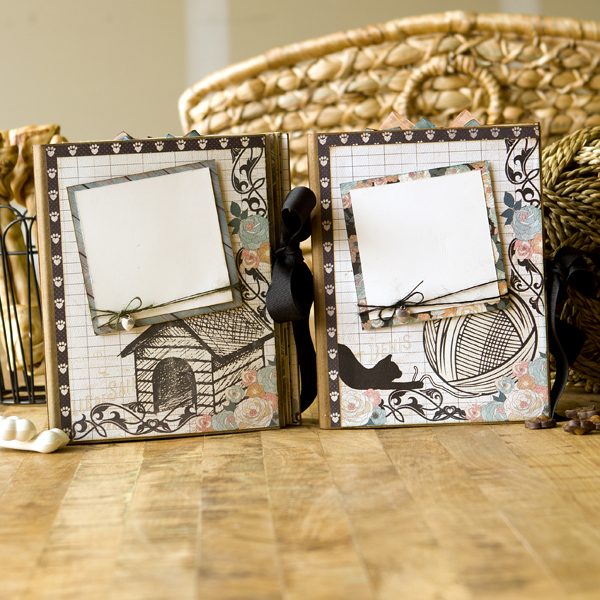 Come create a delightful mini album that is sure to become a treasured favorite! In this fun-filled workshop, we will show you how to take a standard 12 x 12" Fancy Pants paper and embellishment pack, a mixed media book, and a few other accessories and create a beautiful three-dimensional album to fill with your most cherished photos and memories. You will use a pink Chalk Writer, pop dots, an emery board, and craft glue to enhance a wooden phrase and paper accessories and turn them into eye-catching embellishments. You will complete the cover and two to three pages of the mini album in class, and you will leave with colored pictures and instructions so you can easily complete even more pages at home. Your class kit will include a Fancy Pants Mixed Media Album, Fancy Pants 12 x 12" Paper and Embellishment Kit, assorted Fancy Pants accessories, MI Chalk Writer, MI Craft Glue, emery board, and hand wipes. Please bring your basic took kit (12" paper trimmer, scissors, adhesives, pop dots, etc.) to class with you. Other MI Chalk Writer colors, along with any adhesives you may need, will be available to purchase at the Scrap That! booth prior to class. What products will be highlighted: Fancy Pants Designs Mixed Media Album and 12 x 12" Paper and Embellishment Kit, and MI Chalk Writers and Craft Glue. What will I learn or complete: You will make the cover and two to three pages of the mini album. Colored pictures and instructions will be included so you can easily complete even more pages at home. What do I need to bring: 12" paper trimmer, scissors, adhesive, pop dots, and any chalk writers other than pink that you may want to use. What techniques will I learn or use: Using Chalk Writers in a new way, creating beautiful embellishments from a standard paper pack, and using an emery board to distress paper. Do you love the frilly, fashion stuff as much as we do? Come join us as we create beautiful fashion tags with the Krazy Kreations Outline Stickers, chipboard, glitter paper, and more. We will be coloring, inking, embellishing, and shaving (yes, paper shaving) to add detail and glam to our project. Bling and glitter will top it off and beautiful ribbons will add awesome texture. Simply beautiful and fashionable! 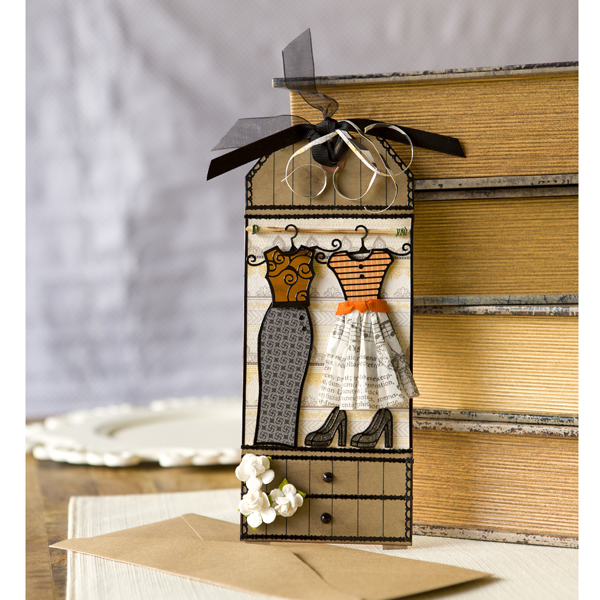 These tags are the perfect accessory for a journal book, gift box, scrapbook page, card, or present! Each student will receive a Krazy Kreations goody bag filled with all the products needed to create the project: Outline Stickers and complimentary chipboard pieces, tag template and other tags, ribbons, glitter papers, pattern paper, wood and paper die cuts, embellishment pearls and gems, plus a $10 gift certificate redeemable at the Krazy Kreations booth. The goody bag is valued over $45! What products will be highlighted: Krazy Kreations Outline Stickers, glitter papers, patterned papers, inks, alcohol markers, and more. What will I learn or complete: As many fashion tags as we can do in class! What do I need to bring: Basic tool kit is required: Scissors, adhesive, glue dots, pop dots, ruler, and pencil. What techniques will I learn or use: How to use outline stickers, chipboard, die cuts, glues, glitter, and markers, etc. Have you struggled with flower shaping? Or maybe you have seen beautiful handmade flowers, but have no idea how to get started? Together we will learn how to create four completely different flower styles, starting with a basic shaping techniques and moving on to techniques that look more advanced and complicated. We will break each technique down step-by-step to unveil the mysteries of creating perfect flowers. Tips and techniques such as pairing the perfect leaves, coloring and blending to achieve different looks, and gluing and glittering on vellum will also be covered. You will leave with four completed flowers, written instruction cards for each flower, as well as bonus flower cutouts to make at least four more flowers at home! A super knowledgeable and friendly instructor will provide step-by-step instructions and you will also receive full color written instructions. Heartfelt Creations classes are always loaded with creative techniques and you will leave with fresh inspiration, as well as a coupon for a free Cling Stamp Set of your choice (a $19.99 value!) redeemable at our booth. A $40.00 prize drawing will be held during each class. What products will be highlighted: Heartfelt Creations flower stamps and dies, flower shaping tools. What will I learn or complete: Four flowers. What do I need to bring: Favorite adhesive and scissors. We recommend bringing a 12 x 12" carrying container that you can use to carry the 3D flowers after class. What techniques will I learn or use: You will learn how to create four completely different flower styles, starting with a basic shaping technique that will start getting you comfortable with flower shaping. 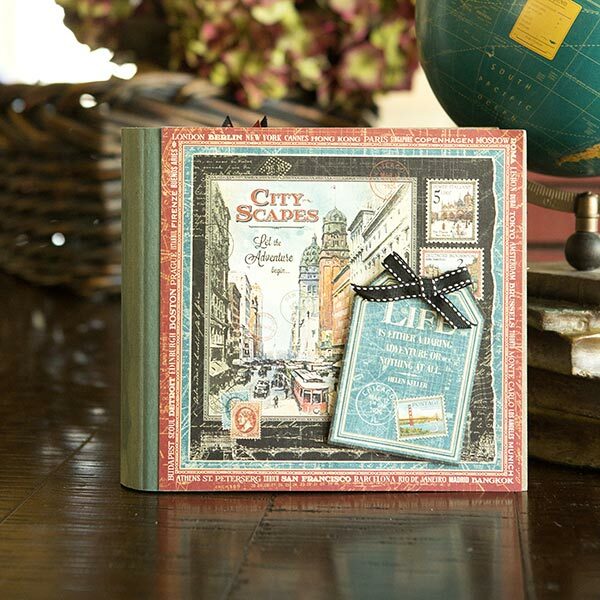 Get ready for an adventure with the new City Scapes collection from Graphic 45 and the new 8 x 8" Curved Back Spine Album from Pinecone Press. This album will be made using the City Scapes 8 x 8" paper pad. 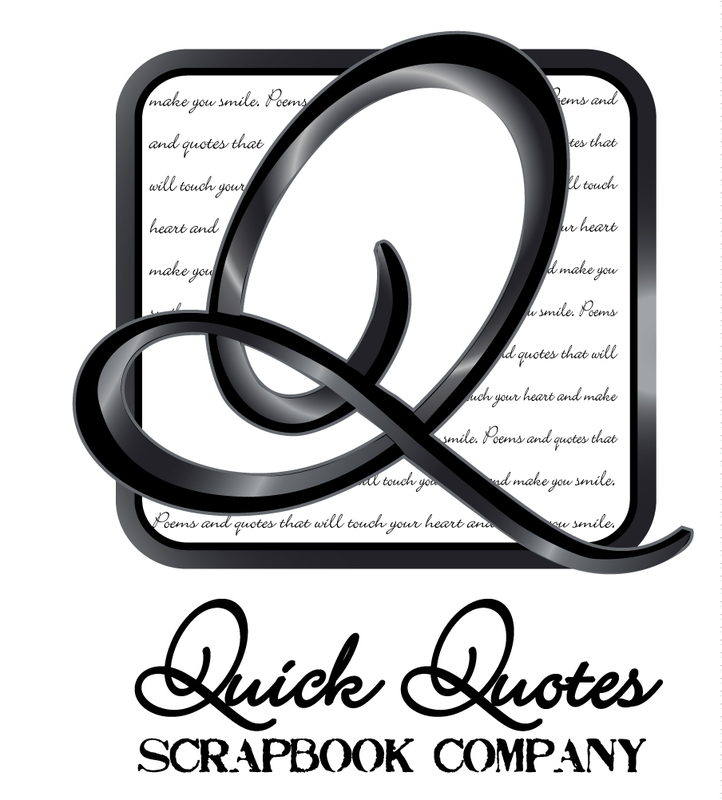 You will create pages with flaps, pockets and inserts. Get a start on "Life is a daring adventure.." with this new class and kit. What products will be highlighted: G45 City Scapes collection and the new 8 x 8" Curved-Back Spine album from Pinecone Press. What will I learn or complete: An 8 x 8" City Scapes album. What do I need to bring: 12" paper trimmer, scissors, adhesives, pop dots, and blue/gray and black inks. What techniques will I learn or use: Creating pages for a mini album with flaps and pockets. 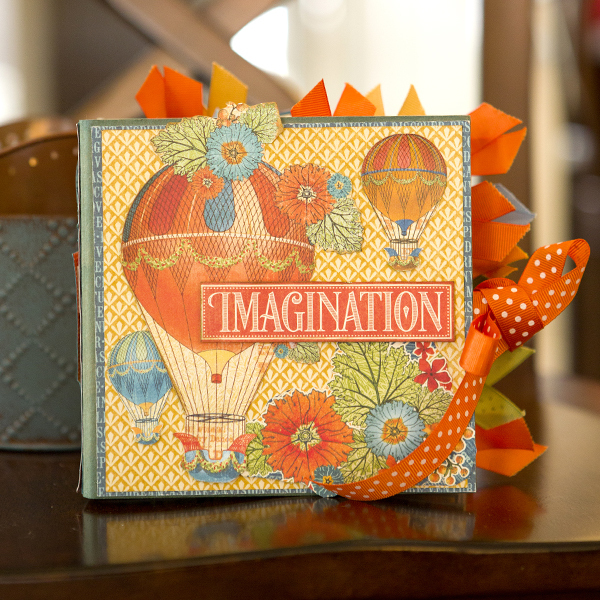 Come and let your imagination soar with this delightful project featuring the World's Fair collection from Graphic 45. The album is a Pinecone Press 6 x 6" Chunky Blank. The inside pages have been scored to create flaps and then more flaps are added. This is an album perfect for your creative adventures! This Imagination album has nothing to do with the World's Fair; pictures of fairs and carnivals probably wouldn't fit the theme of this Imagination album. 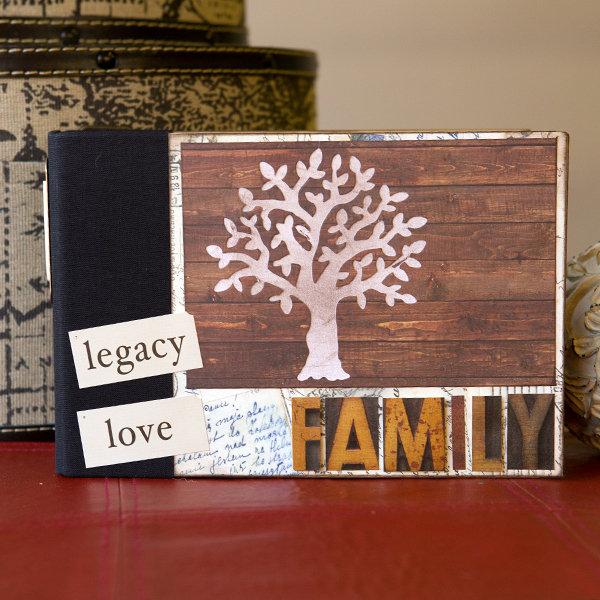 What products will be highlighted: Pinecone Press 6 x 6" Chunky Album and paper from Graphic 45. What will I learn or complete: An Imagination album. What do I need to bring: 12" paper trimmer, scissors, adhesives, blue-gray ink, Red Line Tape, and bone folder. What techniques will I learn or use: Adhering flap pages into a Chunky Album and adding an additional score to a flap page. 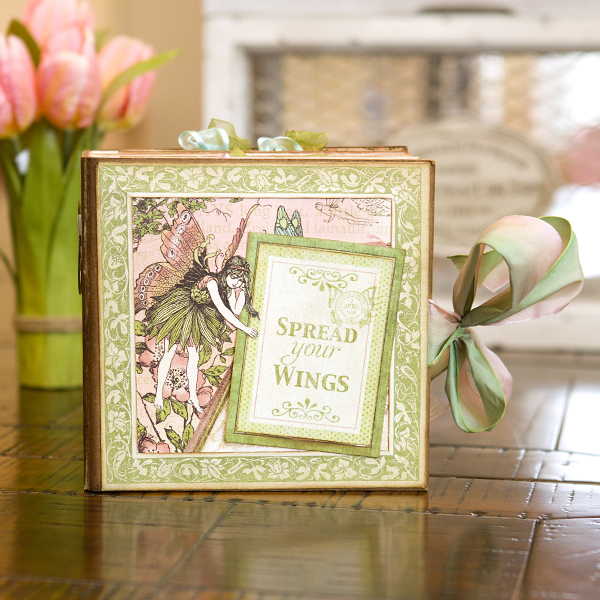 Spread Your Wings 6 x 6" Chunky Album features the Once Upon a Springtime collection from Graphic 45. Delightful, whimsical ,and just pure fun to make. The artwork is beautiful and this album can be used as a baby album, a college grad album, new adventures in mid life, or anytime you need to 'Spread Your Wings' and try something new and different. Lots of flaps and pockets. As with most of Pinecone Press' kits, you will not finish this album in the hour class, but you will have hours of enjoyment working on the album after class. 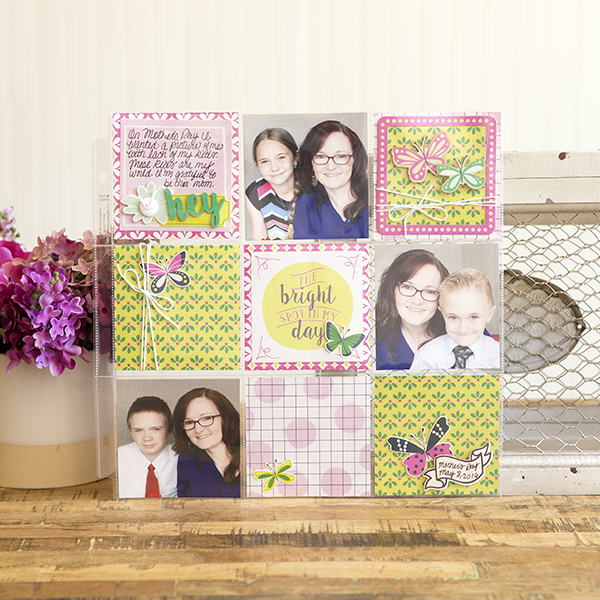 What products will be highlighted: Once Upon A Springtime collection and Pinecone Press' 6 x 6" Chunky Album Blank. What will I learn or complete: Spread Your Wings Album. What do I need to bring: 12" paper trimmer, scissors, adhesives, warm brown ink, Red Line Tape, and bone folder. What techniques will I learn or use: Creating a 6 x 6" Chunky Album with Flap Blanks as inserts. 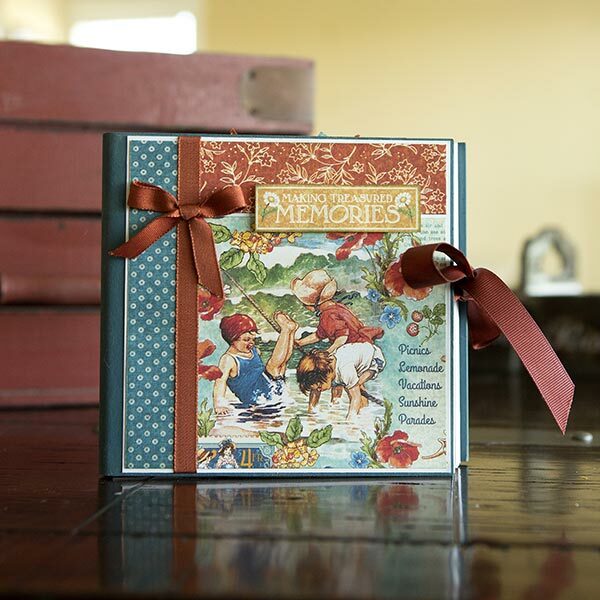 The Treasured Memories Chunky 6 x 6" mini album features Graphic 45's Children's Hour collection. 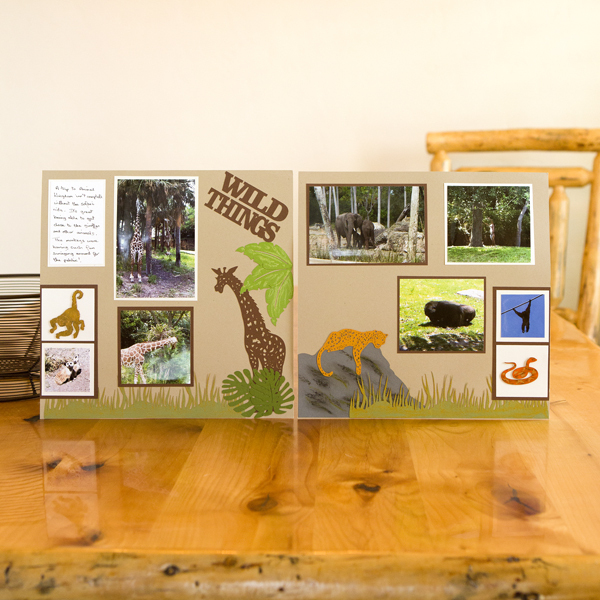 This beautiful album is created with a Children's Hour 12 x 12" paper pad and a 6 x 6" Chunky album from Pinecone Press. The album is a wonderful way to document every month of the year, as there are two pages and a flap that flips for every month. Come and join us and create a treasured memory for your family. 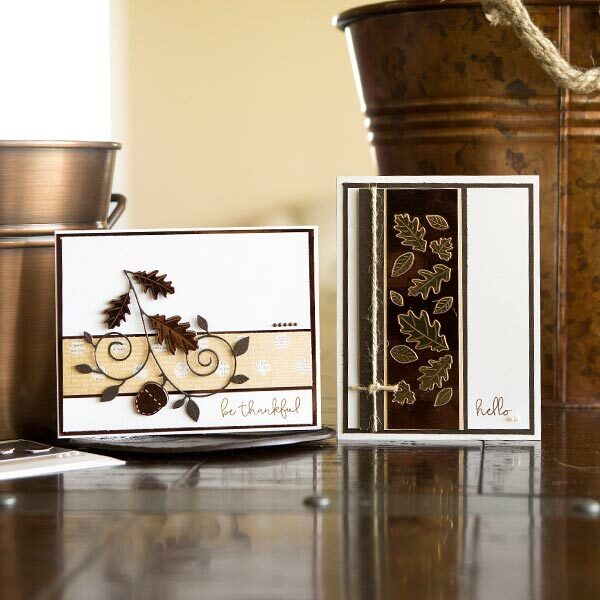 What products will be highlighted: Pinecone Press's Chunky 6 x 6" mini album. What will I learn or complete: You will be creating a Chunky album for the year. What do I need to bring: 12" paper trimmer, scissors, adhesives, Mega Red Line tape, warm brown or dark blue/grey inks. What techniques will I learn or use: Creating uniquely folded pages in a Chunky 6 x 6" mini album. Happy Birthday is a fun, bright, and lively album that features Simple Stories paper. The 6 x 6" Chunky Blank album is turned so that is looks like a gift bag. The Birthday album is ageless - perfect for any age. The pages are scored and folded and they stagger in height. There are a lot of pockets for tags and photos. This album will make you want to jump, shout, and celebrate. It is very fun! What products will be highlighted: Pinecone Press Chunky Blank. What will I learn or complete: Happy Birthday Album. What do I need to bring: 12" paper trimmer, scissors, adhesive, Red Line Tape, and Tiny Attacher or mini stapler. What techniques will I learn or use: Adhering a staggered height page. 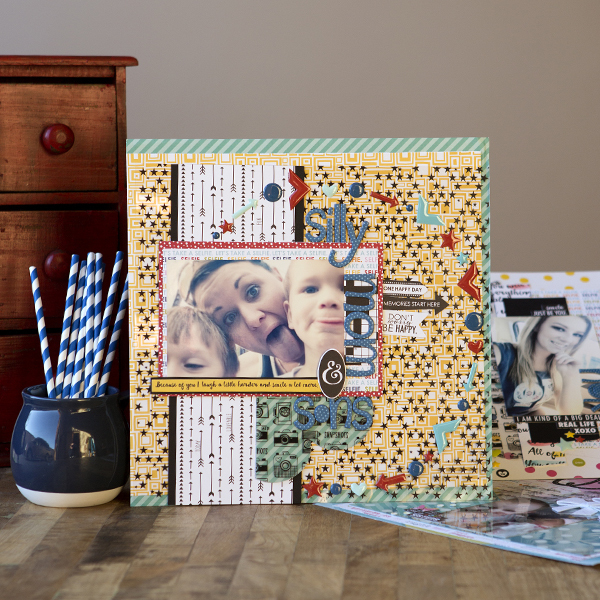 Come join us in the Home for the Holidays Chipboard Album workshop! In this hands-on class, you will receive a kit with everything you need to complete a beautiful, shaped chipboard album to hold all of your special holiday memories. In addition to creating the pages, you will learn techniques including flip pages, hinge items, and creating the shingle roof on this charming album. It's the perfect little booklet to display throughout the winter season and to reminisce over with your family and friends all year long! What products will be highlighted: Flip pages, paper frosting, and hinging paper. What will I learn or complete: Pages for the holiday chipboard album. What do I need to bring: Black ink and an X-Acto knife. 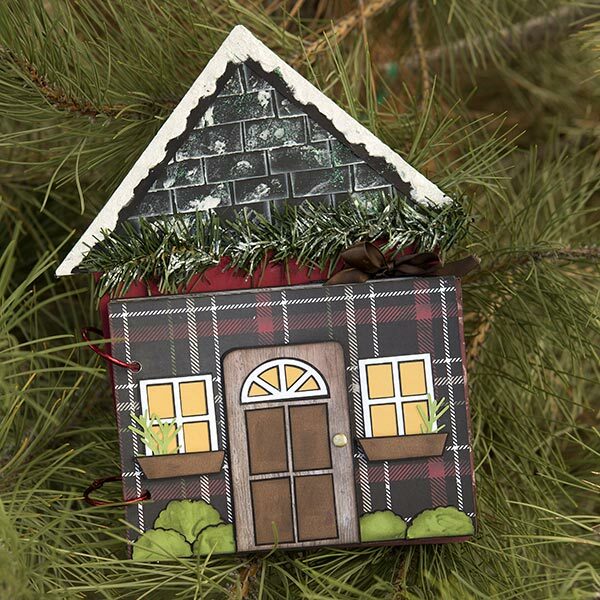 What techniques will I learn or use: How to make a shingle roof and accent it with frosting. How to make flip pages using clear bags. and how to make hinge items. Bella Blvd is humbled and excited to be the first to take the leap of faith into the ever-growing Christian market of men and women that are looking to fill the need for their artistic and spiritual expressions. In this head-turning class, you will take the Illustrated Faith line of spiritual expression to the scrapbook page! Bella Blvd designers have created three layouts filled with our top products to take you to the next level of paper crafting. However, even if you are NOT a scrapbooker, you will enjoy creating these pages to put into your journal or bible. What products will be highlighted: Bella Bows, Bella Enamel Dots and Doo Dads, Bella Clear Cuts, Illustrated Faith: Lovely collection of paper, paint, sequins, and more. What will I learn or complete: Three one-page layouts. What do I need to bring: Paper trimmer, 12" ruler, and tape runner. Optional: liquid glue that dries CLEAR (example: Ranger Multi-Matte Medium), a sticker placing tool, and a sequin placing tool. What techniques will I learn or use: Layering paper and transparent materials, painting, embellishment placing, and photo first embellishing. The I'm Really A Mermaid 8 x 8" Album project features G45's Voyage Beneath the Sea collection. 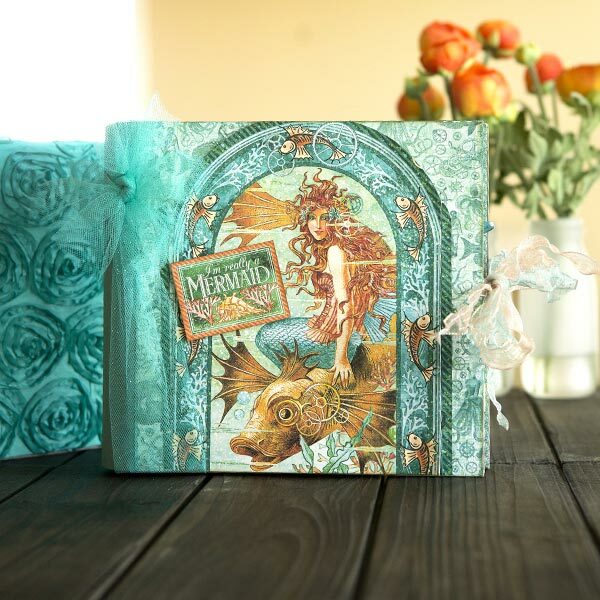 You will create this project using an Voyage Beneath the Sea 8 x 8" paper pad and the new 8 x 8" Euro Curved Back Spine Chunky album. The beautiful colors and creative steampunk-style images, combined with sparkle tulle and shimmery ribbons, will have you really believing in mermaids. What products will be highlighted: New G45 Voyage Beneath the Sea papers and the new 8 x 8" Curved Back spine album from Pinecone Press. What will I learn or complete: An 8 x 8" mermaid-themed album. What do I need to bring: 12" paper trimmer, scissors, adhesive, pop dots, and aqua and brown inks. What techniques will I learn or use: Creating mini album pages with flaps. The Most Important Stamp Tool Invented! That's the MISTI. 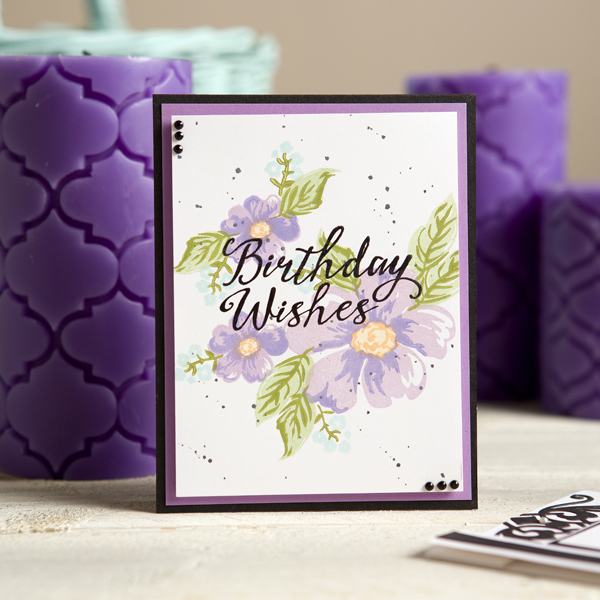 Come play along with Nicole Petersen as she walks you through three cards and a discussion of this truly amazing stamping tool. The possibilities are endless when you understand how to utilize MISTI. Industry experts have been raving about the capabilities of how the MISTI opens up an entire new world of stamping to all levels of stampers, mixed media artists, and scrapbookers. Part of your kit will be an exclusive Technique Tuesday stamp set to create with in class and keep. 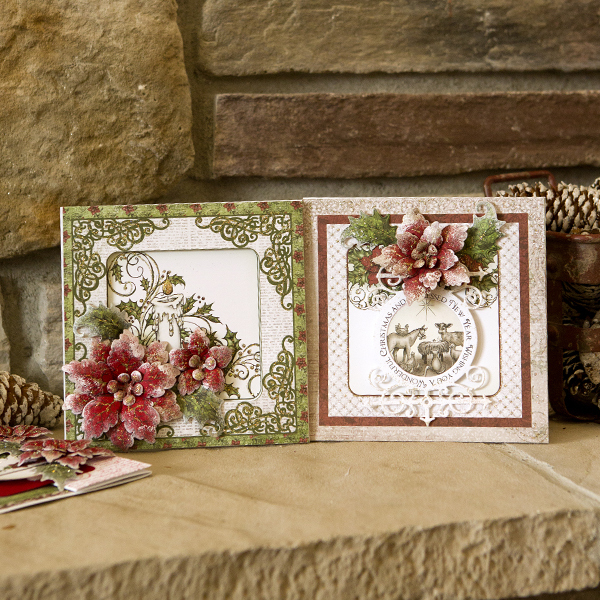 Nicole Petersen will provide everything you need to create three lovely cards and learn to utilize the MISTI. Note: This is an opportunity to learn techniques with the MISTI along with making three cards. A MISTI tool is not included in the class kit but will be provided for class use only. What products will be highlighted: Using the MISTI - the Most Important Stamp Tool Invented, Hybrid ink from My Favorite Things, multiple-stamp layering, and card making. What will I learn or complete: An exclusive stamp set from Technique Tuesday and three multi-step cards made using the MISTI and Hybrid ink from My Favorite Things. You will play with the MISTI in class. A MISTI is not included in class kit. One will be provided for class use only. What do I need to bring: 12" paper trimmer, acrylic block, and adhesive. What techniques will I learn or use: Introduction to the MISTI stamping tool and stamp layering techniques. Join us for a fun-filled Kiwi Lane class! 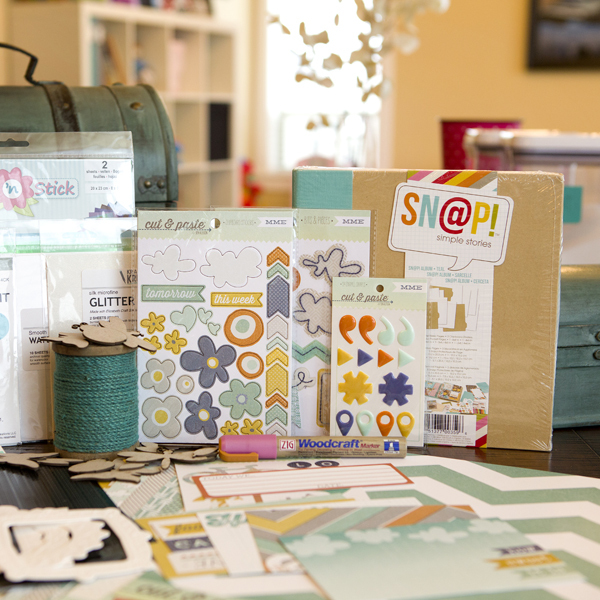 The Play-to-Create system by Kiwi Lane is a back-to-basics, hands-on approach to scrapbooking and/or card-making. 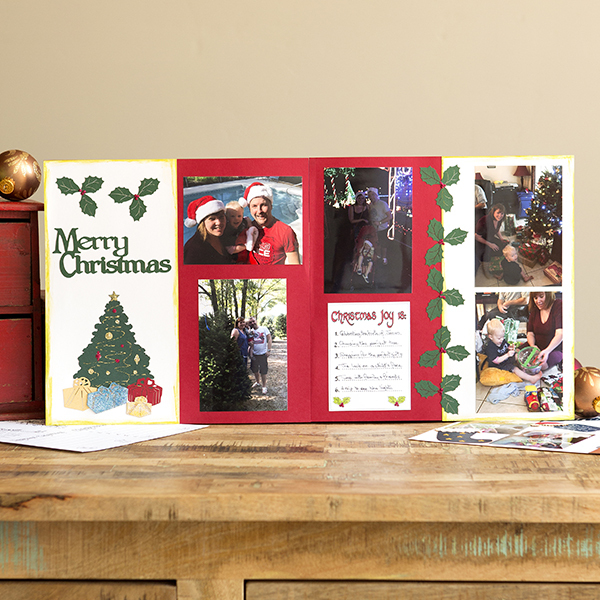 By the end of the class, you will create a beautiful two-page layout and a greeting card. You do not need to be an experienced scrapbooker to attend. Class is limited, so reserve your seat today! What products will be highlighted: Kiwi Lane Play-to-Create system. What will I learn or complete: A 12 x 12" two-page layout and a greeting card. What do I need to bring: 12" paper trimmer, adhesive, and scissors. What techniques will I learn or use: Kiwi Lane Play-to-Create system. Sponsored by: Echo Park Paper Co.
Do you have an event in your life that you have yet to document? Come play along with Echo Park and create a unique mini album about that special guy or girl, a graduation, a vacation, or even daily life. Echo Park has teamed up with a leading expert in paper crafting and master teacher, Nicole Petersen. She will walk you step-by-step through the process of creating a one-of-a-kind mini album that you will want to make over and over again! This mini album will feature one of our top lines, the Jack & Jill: Jack collection. You will use top-quality paper, cardstock, embellishments, and dies in this technique-driven class. The Jack Mini Album is bursting at the seams with places to add your photos in pockets, flip pages, inserts, and more. Your kit has a retail value of over $50! What products will be highlighted: The Jack and Jill: Jack collection by Echo Park Paper Co.
What will I learn or complete: A one-of-a-kind mini album. What do I need to bring: 12" paper trimmer, two glue sticks, liquid and dry adhesive, paper piercer, scoring board and bone folder, and self-healing mat with craft knife. Optional: Double-sided tape and brayer. What techniques will I learn or use: How to create a mini album with die-cuts and paper. Kiwi Lane is a back-to-basics, hands-on approach to scrapbooking and/or card-making that gives you the freedom to play with the design of your layouts or cards without the fear of making mistakes. It's so easy! Whether you're a seasoned scrapbooker or card maker, or you're just thinking about getting started, this will work for you! Join us for a fun-filled Kiwi Lane class! 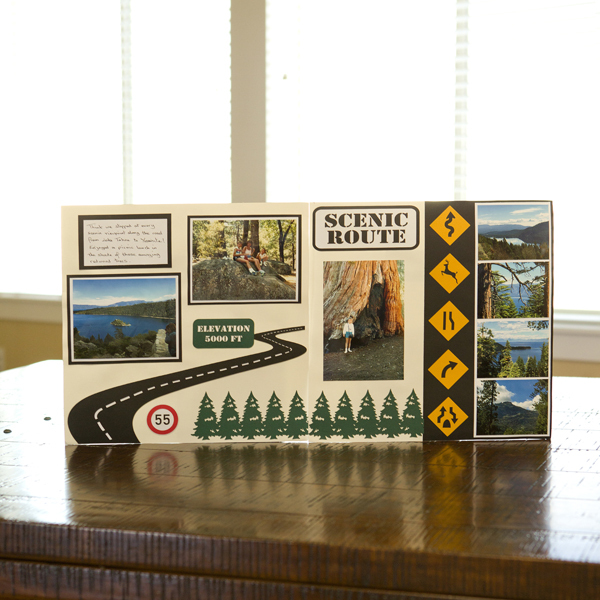 By the end of the class, you will create 5 beautiful cards You do not need to be an experienced scrapbooker to attend. What products will be highlighted: Kiwi Lane Designer Templates. What will I learn or complete: Five cards. What do I need to bring: Paper trimmer, scissors, and adhesive. What techniques will I learn or use: Using Kiwi Lane Designer templates to create cards. Another great design by Marina Leoni for you - not to hide in your album, but show it off on your wall! With this 12 x 12" linen canvas workshop, you will learn lots of new techniques and go home with a complete project. And on top of that, you will go home with a bottle of Glam Glitter paint and glass stain for your other mixed media projects valued at $14.00. Come join us and we promise to have fun and give away lots of gifts while you are designing your projects. What products will be highlighted: You will be working with burlap, linen, brooches, crystals, glimmer pain, and glass stain products. What will I learn or complete: 12 x 12" linen canvas, mixed media art wall. What do I need to bring: Paper trimmer, fan brush, Mon Ami Gabby line adhesive and 5/8" adhesive squares you may purchase from our booth. What techniques will I learn or use: How to use our Glam Glitter paint, make flowers out of our linen ribbon, dress up a chipboard body form, use our adhesive, and attach heavy brooches in a second. Create heirloom quality pieces of art using Fantastic Art Images, family photos, or any kind of paper ephemera. 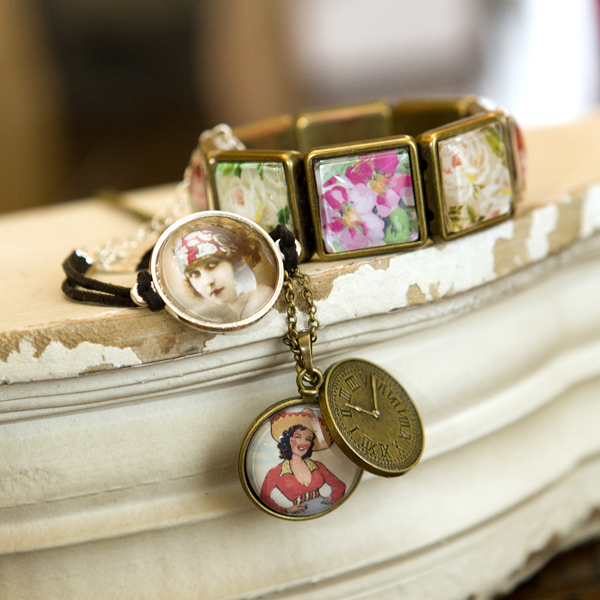 In minutes, make one-of-a-kind jewelry and unusual embellishments for scrapbooking and paper crafting projects. Easy, fast and safe to use! With Fantastic Glaze & Glue, get the look of resin without the mess, time, or toxicity of resin. Easy, fast, and safe to use! Work with over $60 worth of product. Great fun for all crafters, beginners to advanced. What products will be highlighted: Craft Fantastic products. What will I learn or complete: Over ten projects. What techniques will I learn or use: Fantastic Glaze & Glue, glass cabochons, and Fantastic Jeweler's Dots. 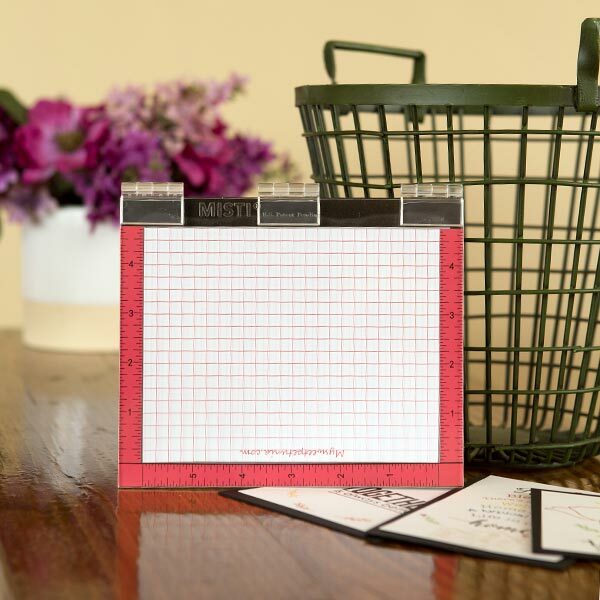 Searching for the newest products to adorn your layouts, cards, and projects? Look no further! Stamp & Scrapbook Expo has found the Latest & Greatest in awesome embellishments and brings them to you in this exciting workshop. Along with two fabulous projects, you will take home an array of beautiful embellishments and trims worth over $80.00 to enjoy! What products will be highlighted: New embellishments from Fancy Pants, Prima and more! What will I learn or complete: A 12 x 12" layout and a card. What do I need to bring: Coming soon. What techniques will I learn or use: Enjoy crafting with the newest embellishments and trims. 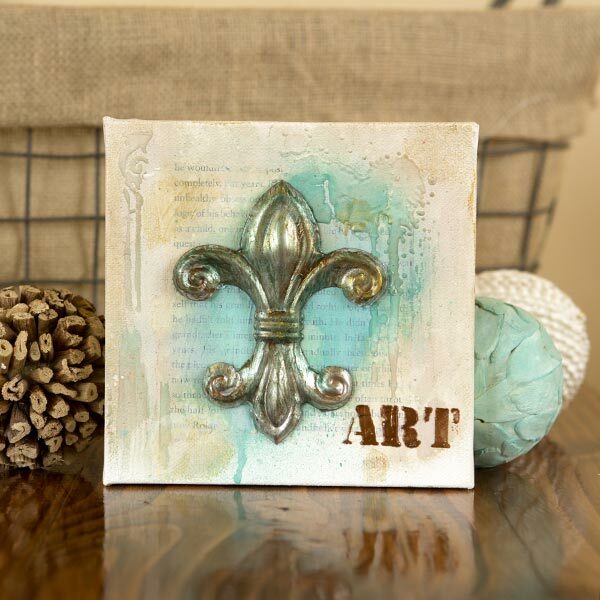 Do you love creating on small canvases and sharing your works of art with friends and loved ones? 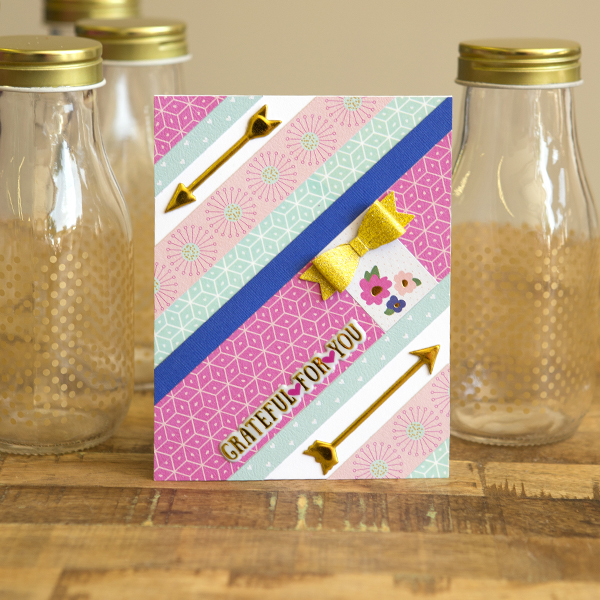 Then Latest & Greatest: Card Making is the workshop for you! 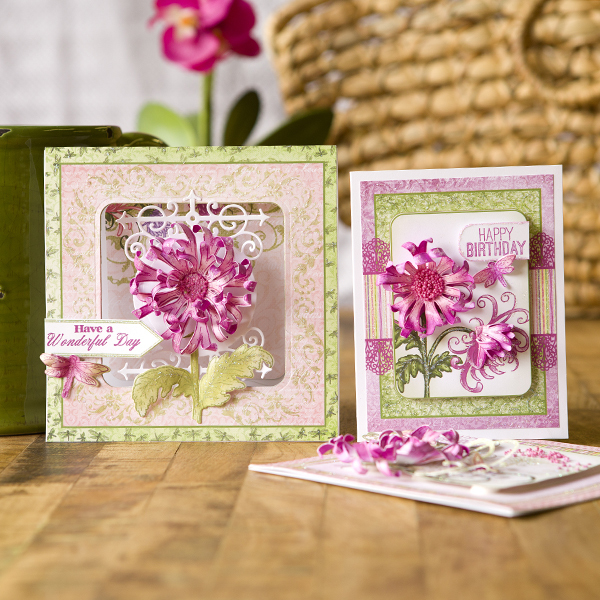 Learn new techniques and creative ideas for crafting cards while using some of the newest products on the market. Along with two fabulous projects, you will take home over $80.00 worth of amazing products perfect for card makers to enjoy! What products will be highlighted: New products perfect for card making from BasicGrey, Carta Bella, Photo Play Paper, Queen & Co., and more! What will I learn or complete: Two cards. What do I need to bring: 12" paper trimmer, scoring tool or scoring blade, scissors, craft knife, tweezers, pencil, and adhesive (glue dots, foam, tape runner). What techniques will I learn or use: Learn how to create a triangle tri-fold card and a foam front shaker card using fun embellishments. Calling all card makers! Whether you are new to card making or have been creating your own cards for years, the Latest & Greatest Card Swap is the workshop for you! Bring 16 handmade cards to class with you. 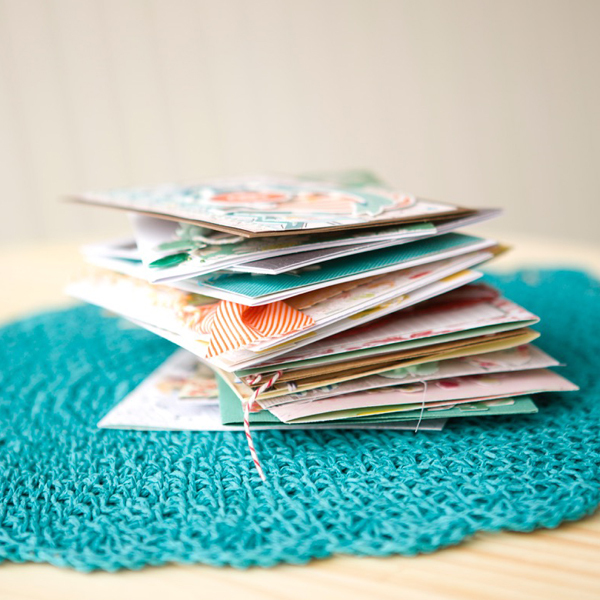 You will swap 15 of your cards and receive 15 new cards from other crafters like you. Your 16th card will be put on display to vote for the "Most Appreciated Card" recognition. The winner will receive a very nice prize package. The only requirement for this swap is that you create each card with blue, purple, or red color combination OR a "Birthday" or "Get Well" theme. There are no product restrictions, A2 cards are suggested, and envelopes are optional. Stamp & Scrapbook Expo will provide you with an additional card project, snacks, and a beverage, as well as a special Card Swap Tote just for joining us. This is a great opportunity to sit down, relax, make new friends and share your card making creativity and ideas! What products will be highlighted: Learn about new techniques, ideas, and products used from other card makers. What will I learn or complete: You will receive 15 unique cards you have swapped with other card makers. You will also receive a cute bag for your cards. What do I need to bring: 16 completed cards using a blue, purple, or red color combination OR a "Birthday" or "Get Well" theme for swapping. What techniques will I learn or use: Making and friends and sharing ideas with other card makers. Calling all card makers! Whether you are new to card making or have been creating your own cards for years, the Latest & Greatest Card Swap is the workshop for you! Bring 16 handmade cards to class with you. You will swap 15 of your cards and receive 15 new cards from other crafters like you. Your 16th card will be put on display to vote for the "Most Appreciated Card" recognition. The winner will receive a very nice prize package. The only requirement for this swap is that you create each card using stamps and buttons. There are no product restrictions, A2 cards are suggested, and envelopes are optional. 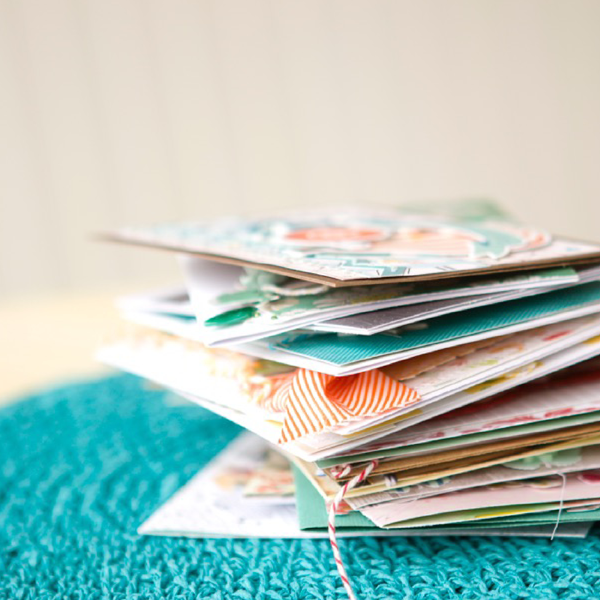 Stamp & Scrapbook Expo will provide you with an additional card project, snacks, and a beverage, as well as a special Card Swap Tote just for joining us. This is a great opportunity to sit down, relax, make new friends and share your card making creativity and ideas! What do I need to bring: 16 completed A2 cards made using stamps and buttons. 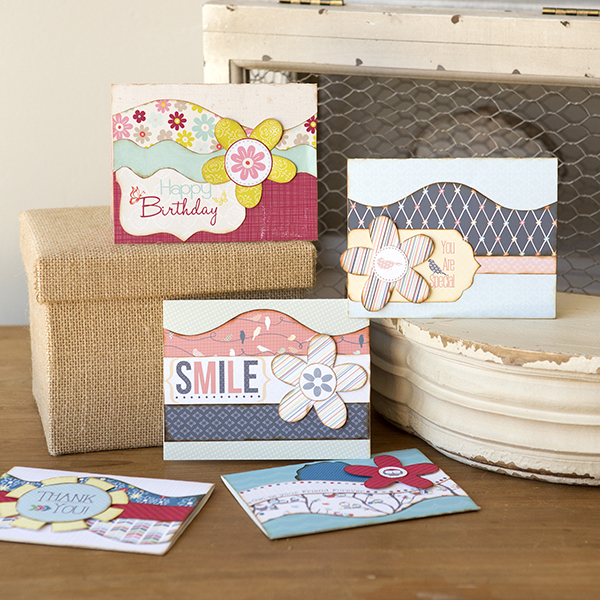 Enjoy a sampling of hot-off-the-press, brand-spanking new collections in the paper crafting world! Stamp & Scrapbook Expo scours the planet looking for the Latest & Greatest in paper collections and brings them to you in this exciting workshop. 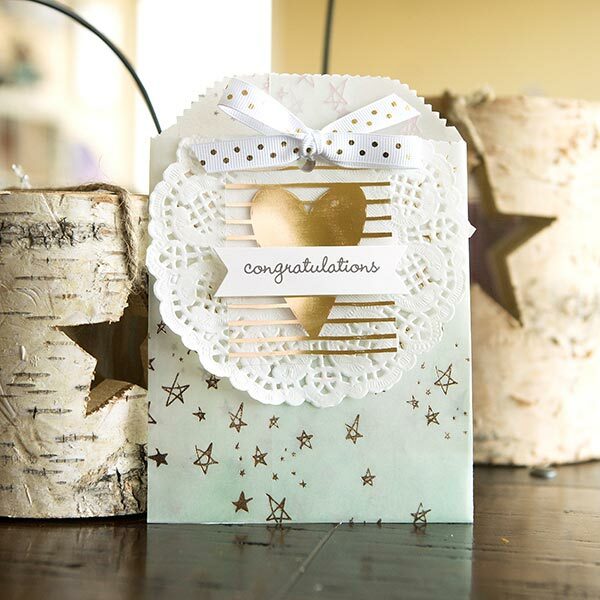 You will create two fabulous projects using the latest paper and embellishments. In addition to the projects, you will also leave with over $80.00 of amazing products to enjoy! What products will be highlighted: New collections from Fancy Pants Designs, Photo Play Paper, Simple Stories and more! What techniques will I learn or use: Enjoy crafting with the newest paper collections and embellishments. Use some of the newest tools on the market, plus enjoy some awesome tips and tricks in the Cool Tools workshop. You will make two fabulous projects using the tools you take home. In addition to the projects, you will also leave with over $80.00 of wonderful products to use over and over again! What products will be highlighted: New tools and organizational items from Echo Park Paper Co., Little B, Totally Tiffany, We R Memory Keepers, and more! What do I need to bring: 4 x 6" portrait photo, 12" paper trimmer, scissors, black journaling pen, adhesive (tape runner, vellum, and foam). Optional: Mini stapler and hole punch. What techniques will I learn or use: Enjoy crafting with new products and learn to use the tools you will be receiving in the workshop. Craft using new mediums and materials, learn creative tips and tricks, and apply it all to your scrapbooking and paper crafting in the new Mixed Media workshop. Complete two fabulous projects in class, and take home over $80.00 in mixed media products! What products will be highlighted: New mixed media products from Art-C, Heidi Swapp, Illustrated Faith, and more! What will I learn or complete: A home décor/gift tin and a card. What do I need to bring: Scissors, 1 ½" circle punch, adhesive (liquid, dry, glue dots), and brown distress ink. What techniques will I learn or use: Learn how to incorporate mixed media techniques on your cards, home décor, gifts, and more! Do you want to learn some fun tips and techniques to make pocket scrapbooking more creative and fun? Then join us for Latest & Greatest: Pocket Scrapbooking! In this workshop, you will make two projects using products by top manufacturers that are perfect for pocket scrapbooking. And if that's not enough, you will leave with over $80 worth of products to create your own pocket pages at home! What products will be highlighted: New products perfect for pocket scrapbooking from Photo Play Paper, Simple Stories, We R Memory Keepers and more! What will I learn or complete: Two 12 x 12" pocket page layouts. What techniques will I learn or use: How to create a pocket page layout. Learn new stamping techniques and creative ways to use stamps in Stamp & Scrapbook Expo's newest Latest & Greatest workshop. Whether you are a beginner or a veteran stamper, this class is for you! 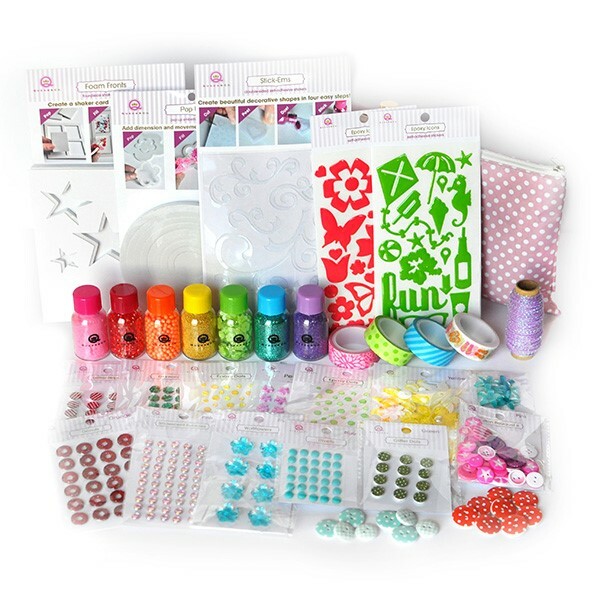 We have brought together some of the hottest stamps and accessories on the market for you to create with and enjoy. Along with two fabulous projects, you will take home over $80.00 worth of products to create with again and again! What products will be highlighted: New stamps and stamping products from Echo Park Paper Co., Hampton Art, Totally Tiffany, and more! What do I need to bring: Paper trimmer, scissors, adhesive, and black and red ink pads. What techniques will I learn or use: Learn how to stamp with coordinating stamps and die cuts. In this class you will learn how to look at your background stamps in a new way. 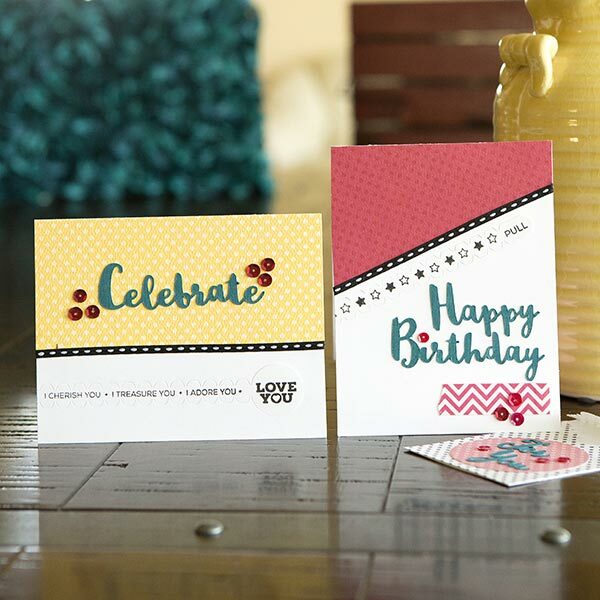 Learn how fun it is to layer multiple background stamps to create one-of-a-kind paper designs. Come join us as we learn the watercolor smoosh technique with acetate and Zig Clean Color Brushes and just how fun it can be to layer multiple background stamps to create one-of-a-kind paper designs. The smoosh technique is quick and easy and can make anyone a watercolor rock star. Learn how to pair up your background stamps to create on trend designs including Vintage Aged, Bokeh, and Mixed Media. During class you will also have a chance to win prizes. You will leave class inspired to look at background stamps in a new way. You will leave class with three unique cards and one exclusive JustRite stamp set (this set is only available in class) and a coupon for a free cling background stamp of your choice (valued at $14.95) - a total $33.90 value. You can redeem this coupon at the Justrite Papercraft booth. What products will be highlighted: JustRite Background Stamps, JustRite Clear Stamps, Clean Color Brushes by ZIG, Gelatos, Ranger Archival Inks, Tsukeniko Delicata Inks. What will I learn or complete: How to create four one-of-a-kind layered watercolor backgrounds to create three finished cards. What do I need to bring: Adhesive runner, double-sided adhesive tape, various sizes of acrylic blocks for stamping (one needs to be at least 2 1/2 x 6 1/4"), and stamp cleaner. What techniques will I learn or use: You will learn the watercolor smoosh technique and how to layer background stamps. Love to make flowers out of gorgeous silk and crystals? This class is just for you! In this workshop you will create unique silk flowers out of dupioni silk fabric which you can use for tabletop décor or party decorations , on top of presents or as a wedding accessory, and even on a scrapbook page or a beautiful card. And did I mention your fashion closet? You will be making two flowers in this class but you will be going home with extra products which you can use to make up to 10-12 flowers when you get back home. So come and join Marina Leoni with her fun techniques and leave the class with beautiful handmade flowers and a big smile . What products will be highlighted: You will be learning how to make unique, one-of-a-kind flowers from silk fabric and crystals. What will I learn or complete: You will leave with two handmade silk flowers and additional products to make up to 10-12 flowers at home. What do I need to bring: Scissors and a big smile. What techniques will I learn or use: We will be using our 2" adhesive squares to make flowers with our silk fabric and more from scratch; hand made by you! We will take a journey to create three beautiful 12 x 12" scrapbook pages filled with new and interactive techniques that will blow you away. We will be learning how to use Simple Stories Circle Photo Crops, embellish with Sn@p! Flair and Sn@p! Pockets, as well as use overlays and photo flips. Using these interactive techniques, you will be able to add more photos per page. We will also be transforming rhinestones, but we don't want to give all the secrets away! What products will be highlighted: Using Simple Stories circle photo crops, embellishing with Sn@p! products, and working with overlays and photo flips. We will also be transforming rhinestones. What will I learn or complete: Three 12 x 12" pages filled with new and interactive techniques. What do I need to bring: 12" inch paper trimmer, pop dots, and scissors. Optional: Inks (Quick Quotes Carribean Blue, Green with Envy, Baja Blue). What techniques will I learn or use: Using interactive techniques, you will be able to add more photos per page. Creating pockets, and learning how to change the color of rhinestones. Join us for a fun-filled hour creating a 4-page layout perfect for trips to Disney World, zoos, aquariums, and safari and water adventures. We will show you different techniques using Gelatos to add dimension to cardstock and to color our wood miniatures. 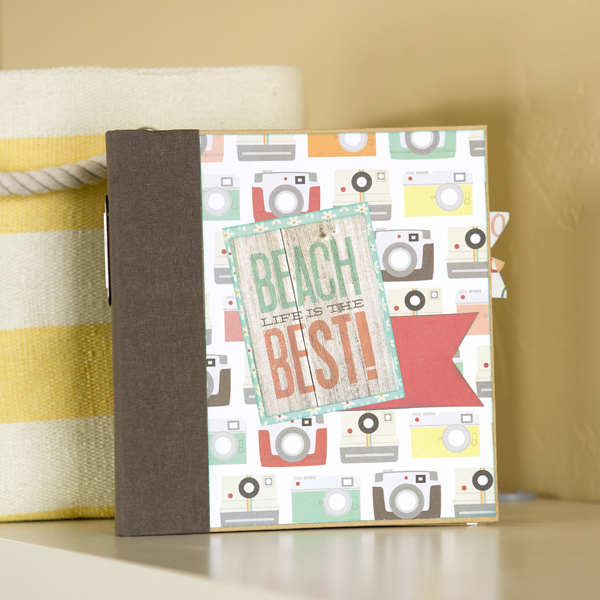 You will be laying out pages in different ways to create interest in your scrapbooks. A template will be provided to help you cut your photographs into oval shapes. All materials will be provided; please bring your favorite paper cutter. As a special bonus you will receive a coupon for 20% off a purchase of $50 or more in our booth. What products will be highlighted: Gelatos, laser cuts, wood miniatures, Tombow liquid glue, and cardstock. What will I learn or complete: Four-page layout. What do I need to bring: Paper trimmer and scissors. What techniques will I learn or use: Different ways to apply gelatos to a variety of materials and change their appearance. Laying out pages in different ways to create interest in your scrapbooks. 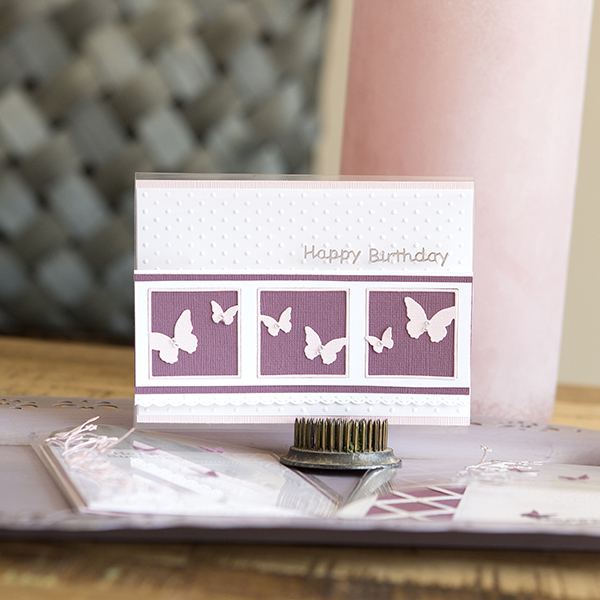 Multi-step stamping is one of the hottest trends in card making. 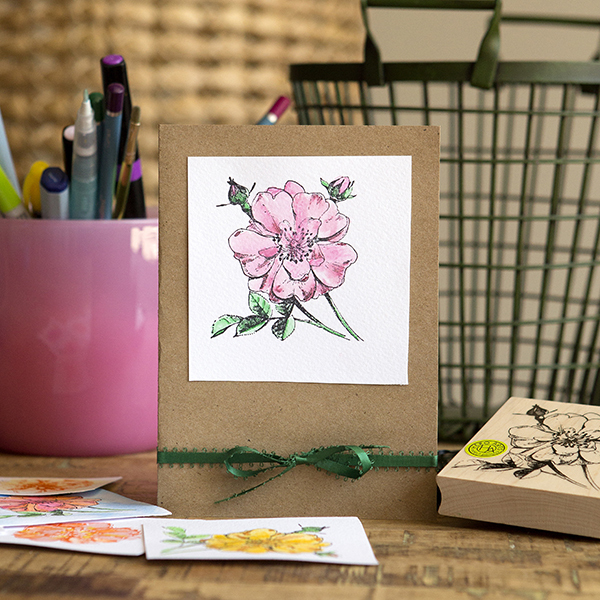 Come join us to create beautiful realistic-looking wild roses with our Romantic Wild Roses Multi-Step Stamp Set. 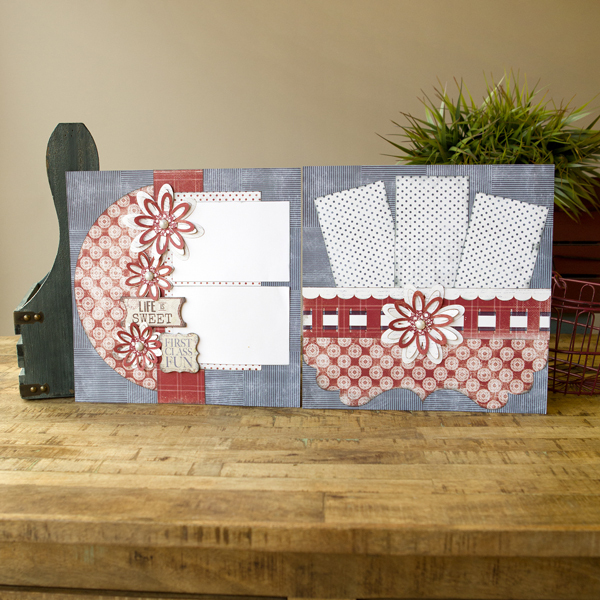 While in class, you will learn tips for lining up multi-step stamps, as well as how to create a center step card. You will receive full step-by-step instructions with photos and a tip sheet. Plus, you will have the opportunity to win some amazing prizes. 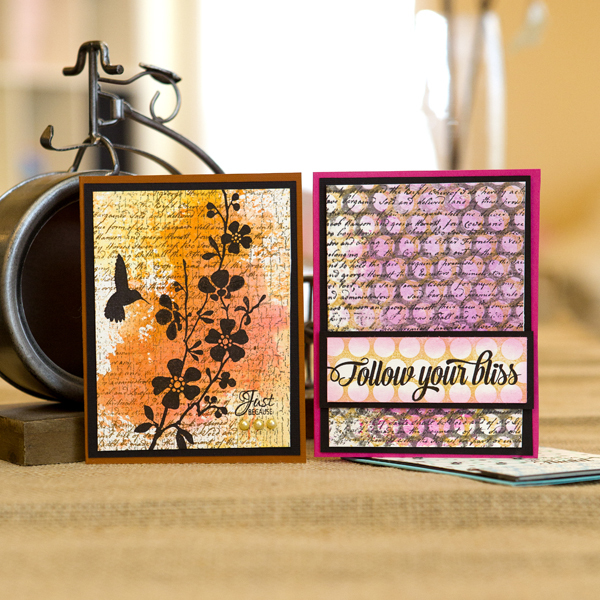 You will leave class with two completed cards, a JustRite Papercraft Romantic Wild Roses Clear Stamp Set, and a coupon for a free cling background stamp of your choice (up to a $14.95 value) - a combined value of $33.90! You can redeem your coupon at the JustRite Papercraft booth. What products will be highlighted: JustRite Clear Multi-Step Stamp - Romantic Wild Roses and Grand Handwritten Sentiments, JustRite Romantic Wild Roses Dies, and Tsukeniko Versamagic Inks. What will I learn or complete: Two completed cards. What do I need to bring: Adhesive runner and various sizes of acrylic blocks for stamping (one needs to be at least 3" x 3"). What techniques will I learn or use: How to create a center step card and how to use JustRite multi-step stamps. Join us for this workshop to create a beautiful 4 x 6" mini album that will fit perfectly on your coffee table. 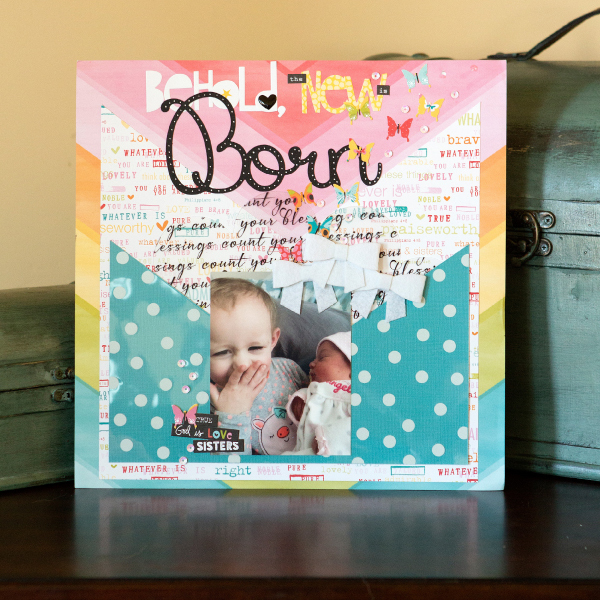 Using Simple Stories paper, cardstock stickers, and various other embellishments, you will put together a timeless album of your family to display for all to see. During this workshop, you will learn a variety of new techniques using pocket page flips, using tools to create dimension. You will have the opportunity to put your special touch on your personal mini album. What products will be highlighted: Working with Simple Stories printed and element papers. What will I learn or complete: A 4 x 6" mini album filled with decorated pages ready to add all those special moments. What do I need to bring: 12" paper trimmer, pop dots, adhesive of your choice, scissors, and baby powder. Optional: Brown ink (Quick Quotes Mahogany or Chocolate). What techniques will I learn or use: Learning to use pocket pages, flips, and learning to create dimension. 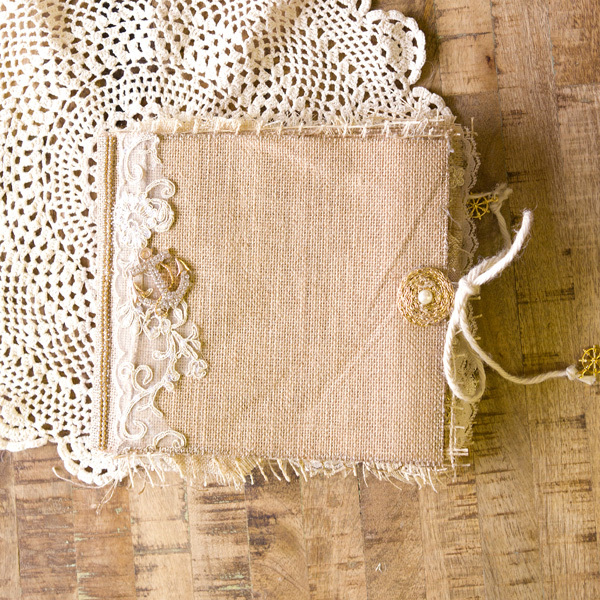 What a fun way to cherish your memories in this 5.5 x 8.5" burlap album which you will create from single sheets and go home with a complete, gorgeous memory. This class is unique - we will be using nautical accents, Glam Glitter paint, crystals and trims to bring your album to the seas. So come and join Marina Leoni and learn her techniques and go home with laughter and creativity. Oh, and did we mention lots of give aways? What products will be highlighted: You will be using burlap sheets, ropes, trims, crystals , brooches, nautical items, and ribbons. What will I learn or complete: You will make and 8 x 8" album that will include up to eight pages. What do I need to bring: Scissors, paper cutter, Mon Ami Gabby 5/8" Adhesive Squares, and Adhesive Line which you can purchase from the booth or email us for details at info@monamigabby.com. What techniques will I learn or use: You will learn how to turn burlap sheets into albums, making flowers out of ropes, painting on burlap, crystals ,using diamond mesh to layer your pictures and much more. Put your best memories into this beautiful stretched canvas that you can display all year round. "Our Story is About Moments Like This" can also be made into a 12 x 12" scrapbook page by eliminating the canvas. We are using our NEW paper line "Chiffon" to create this masterpiece. 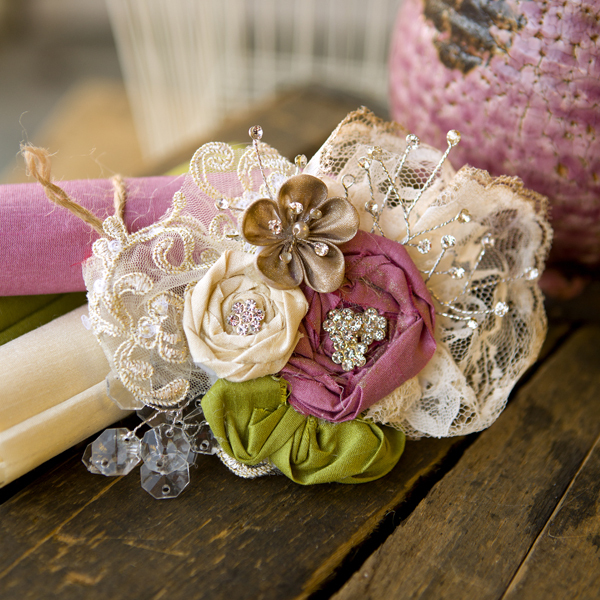 Soft subtle colors, lace, flowers, tags, and pearl brads... join us and see how easy this is! Get your Powder Puff Chalk Ink supplies at the A to Z booth. Ink suggestions: Aqua, Seabrook, Sky Blue, and Baja Blue. Show your class ticket to get a discount on the New 2016 box of Powder Puff Inks. Ask about the great deal on a companion canvas to this class. Get a booth coupon with specials for class attendees and also a free quote just for visiting the A to Z booth. What products will be highlighted: How to chalk with chalk inks, make flowers from lace, and working with stretched canvas. What will I learn or complete: A finished 12 x 12" canvas art project ready to add photos. What do I need to bring: Powder Puff Chalk Ink Suggestions: Aqua, Seabrook, Sky Blue and Baja Blue. Basic Supplies: Beacons 3-in-glue (or similar glue that doesn't warp paper), scissors, trimmer, and adhesive. What techniques will I learn or use: How to chalk canvas and use scrapbooking techniques to create a work of art to hang on the wall or use as a scrapbook page. 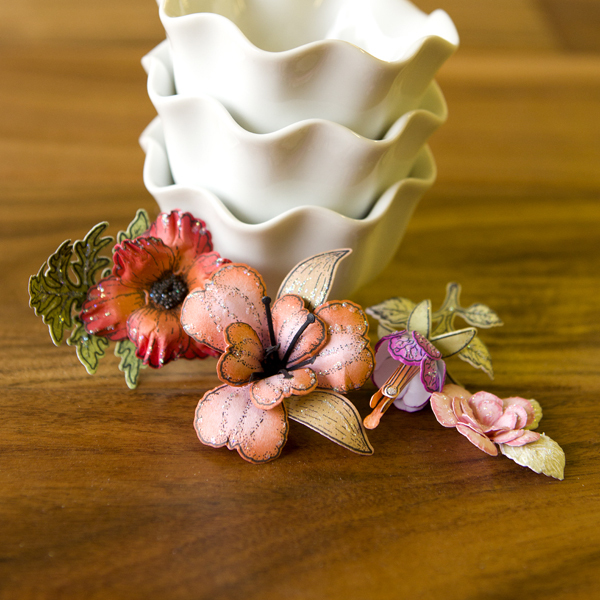 Do you love feathery friends paired with accent flowers of delicate vellum? During this 1½ hour class, you will learn how to create vellum flowers, how to color on vellum, and how to blend multiple colors on cardstock. 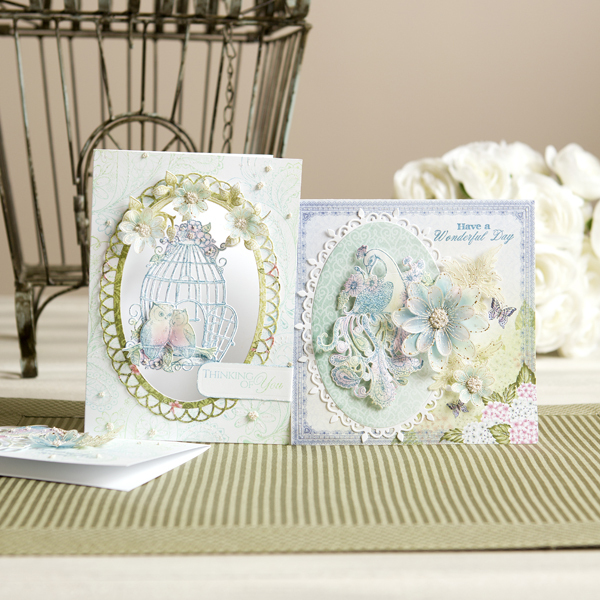 Pair these techniques with the soft peacock color theme, decorative ovals, and pretty backgrounds for the perfect card trio that is sure to take your breath away! These samples might look complicated, but we will break it down step-by-step and show you how easy it is to create your own masterpiece. A super knowledgeable and friendly instructor will provide step-by-step instructions and you will also receive full color written instructions. Heartfelt Creations classes are always loaded with creative techniques and you will leave with fresh inspiration, as well as a coupon for a free Cling Stamp Set of your choice (a $19.99 value!) redeemable at our booth. A $40.00 prize drawing will be held during each class. 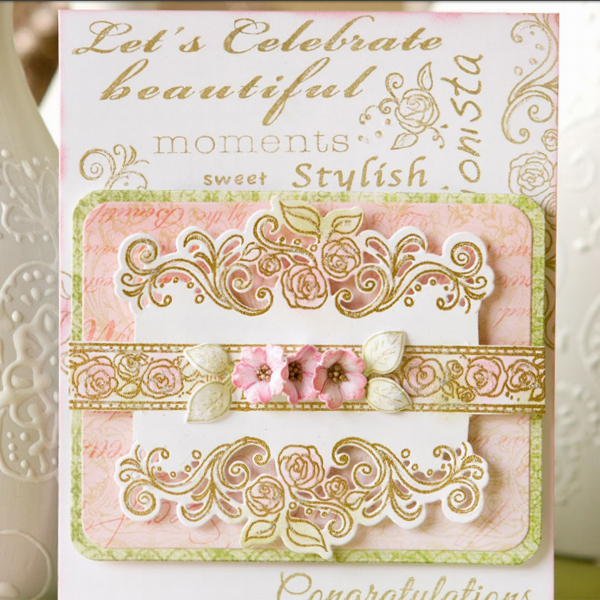 What products will be highlighted: Heartfelt Creations stamps, dies, and designer paper. What do I need to bring: Favorite adhesive, scissors, and foam dots. We recommend bringing a 12 x 12" carrying container that you can use to carry the 3D card safter class. What techniques will I learn or use: You will learn how to create vellum flowers, how to color on vellum, and how to blend multiple colors on cardstock. 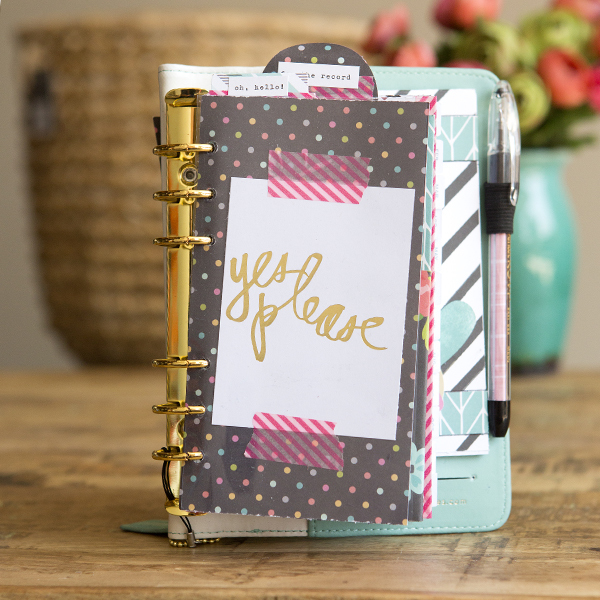 Let's get together and make Pretty Planners! In this class we are going to learn how to make custom dashboards, dividers, washi-tape holders, paper clips and SO MUCH MORE. We will be learning how to use these pretty planner decorations in a productive way. You'll be able to take the things you learn in this class home with you so you can freshen up your planner with a new look whenever you are up for a change. What products will be highlighted: You will learn how to make pretty planner embellishments for any size and/or type of planner. What will I learn or complete: A set of planner dividers, a dashboard, a washi card, and decorative paperclips. What do I need to bring: Paper trimmer, scissors, and glue sticks such as Uhu or Ranger. What techniques will I learn or use: Making personalized planner accessories. It's back and better than ever for 2016! Enjoy an hour of inspiration while we introduce you to over 150 fresh, new products. Get up close and personal with the new Queen & Co. Toppings that include 50 unique products such as Pops, Diamonds, Sugar, Plush Powder, Baby Beads, and Pixie Dust all packaged inside adorable new bottles in a rainbow of colors! Learn to add dimension and sparkle to your creations with our Adhesive Appliques, Pop Ups ,and Foam Fronts - which make using our toppings a snap! Got bling and tape? We do! Sample our unique, exclusive new 2016 embellishments including Donuts, Glitter Dots, Diamonds, Vinyls, Trendy Tape, Epoxy Elements, and more! How to organize all these amazing new products, you ask? Let us show you our 2016 Envy Storage binder with new pages to easily store embellishments. You will receive a rainbow assortment of products valued at over $50 packaged inside an adorable new soft-sided pink bag — sure to be a favorite! What products will be highlighted: An assortment of Queen & Co. embellishments. What will I learn or complete: Lecture only. You will receive a rainbow assortment of products valued at over $50 packaged inside an adorable new soft-sided pink bag to take home. What do I need to bring: None. What techniques will I learn or use: You will be introduced to over 150 fresh, new products from Queen & Co.
Join us for a fun productive hour as we put together four pretty pages from our RED WHITE and BLUE paper line. Great for holidays, boys, girls, 4th of July and much more! It will be a busy class but you will go home with four beautiful pages with gorgeous flowers and phrases to adorn the pages. Great for beginners and seasoned scrappers alike! Suggested Powder Puff Chalk Inks: Navy, Berry Jam, and Coal Miner. Get your Powder Puff Chalk Ink supplies at the A to Z booth. If your class is before the vendor floor opens, the teacher will have a few for purchase at the first class only. Show your class ticket and get a discount on NEW 12-pack inks. Ask about the great deal on companion pages to this class. Get a booth coupon with specials for class attendees and also a free quote just for visiting the A to Z booth. What products will be highlighted: Using Powder Puff Chalk Inks, banner and flower building using pretty pearl brads..
What will I learn or complete: Four 12 x 12" pages. What do I need to bring: Quick Quotes Powder Puff Chalk Ink Suggestions: Coal Miner, Navy, Berry Jam Basic Supplies: Scissors, trimmer, and adhesive. What techniques will I learn or use: We will be building flowers and a ribbon banner along with chipboard phrases and pearl brads. 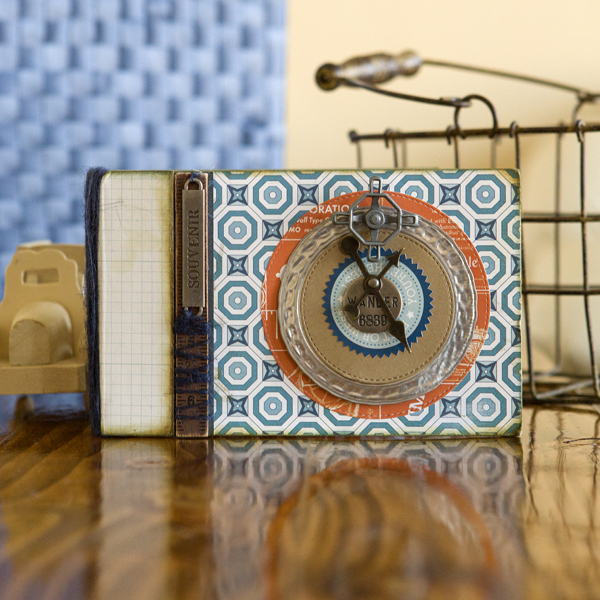 Join us for a fun-filled hour creating a four-page layout to record your vacation memories. You will be using our great laser cuts combined with other materials. We will show you different techniques using Gelatos to add dimension to cardstock and to color our wood miniatures. 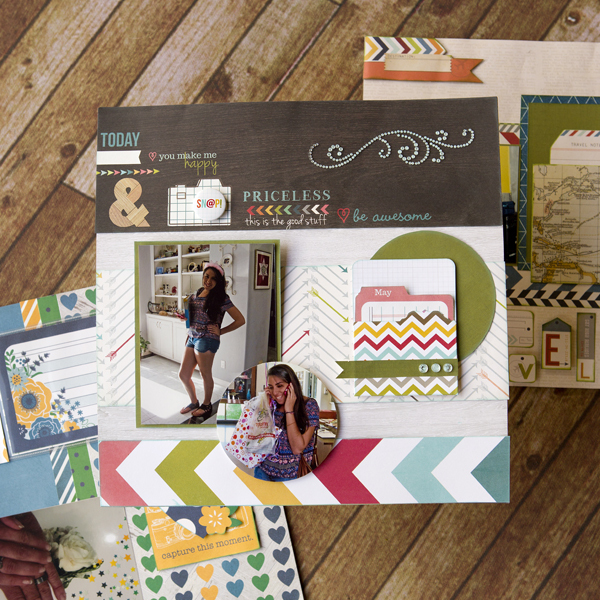 You will learn different ways to lay out your scrapbook pages so they don't all look the same! All materials will be provided; just bring your favorite paper cutter. As a special bonus you will receive a coupon for 20% off a purchase of $50 or more in our booth. What will I learn or complete: Four 12 x 12" page layouts. What techniques will I learn or use: Different ways to apply Gelatos to a variety of materials and change their appearance. Laying out pages in different ways to create interest in your scrapbooks. How to use liquid glue without getting it everywhere! Want to WOW yourself? Ever thought you could create 20 scrapbooking pages within the hour? Take this workshop to blow your own mind! Using the Simple Stories Sn@p! Pocket Pages, Icons, and 3-dimensional stickers, you will learn how you can complete 20 creative pages, each with their own flair. What products will be highlighted: 20 creative pages, each with their own flair. Use Simple Stories Sn@p! Pocket Pages, Icons, and 3-dimensional stickers. What will I learn or complete: 20 scrapbook pages, ready to complete with your special memories. What do I need to bring: 12" paper trimmer, pop dots, scissors, and adhesive of your choice. Optional: Inks (Quick Quotes Biscotti or Warm Sand). What techniques will I learn or use: Learning to complete 20 creative pages in about an hour! Bella Blvd at its finest! Three Bella Blvd collections have come together to create a SPLASH! Come play along with us to create three one-page layouts that are overflowing with Bella Blvd product. You will discover Clear Cuts and Invisibles - two hot products that create loads of character on your pages. Play along with us and make amazing layouts that will turn heads! What products will be highlighted: Bella Blvd paper, Clear Cuts, Invisibles, DooDads, Enamels and more. What do I need to bring: Paper trimmer, fussy-cutting scissors, and wet and dry adhesive (wet adhesive needs to dry clear). What techniques will I learn or use: Layering transparencies, inking, eye-popping embellishment placing, creating great titles and more. Do you love the look of frosted poinsettias on Christmas cards? In this class (due to popular demand! ), we will teach you how to quickly apply two colors of stamp paints to create the perfect sparkle on these poinsettias. You will also learn how to easily shape the poinsettias and add them to Christmas card panels. This class will inspire you to start creating your Christmas cards early so you can gift your friends with a beautiful handmade card for the Christmas season. A super knowledgeable and friendly instructor will provide step-by-step instructions and you will also receive full color written instructions. 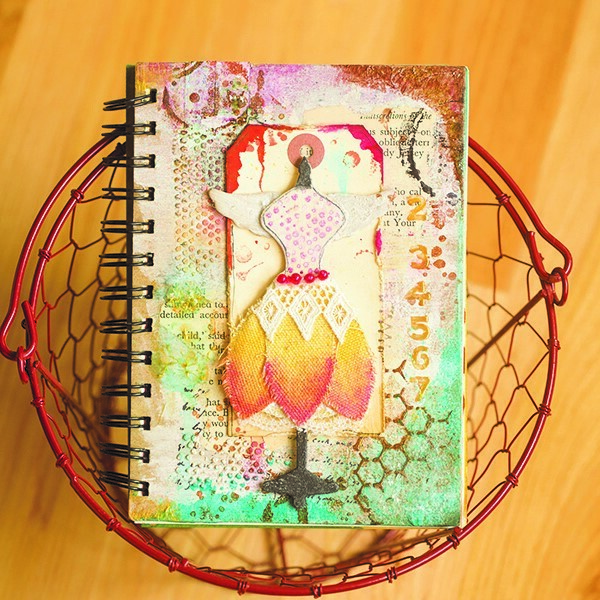 Heartfelt Creations classes are always loaded with creative techniques and you will leave with fresh inspiration, as well as a coupon for a free Cling Stamp Set of your choice (a $19.99 value!) redeemable at our booth. A $40.00 prize drawing will be held during each class. What products will be highlighted: You will learn how to quickly apply two colors of stamp paints to these poinsettias to create the perfect sparkle. You will also learn how to easily shape the poinsettias and add them to Christmas card panels. What do I need to bring: Latex gloves, favorite adhesive, scissors, and foam dots. We recommend bringing a 12 x 12" carrying container that you can use to carry the 3D cards after class. What techniques will I learn or use: Flower Shaping and Stamp Paints. Come feel the force with this amazing and fun-filled class! Learn how to create your own background, use pop dots to add dimension, layer a Paper Wizard title and more! In this basic skills class, you will leave with a two-page layout (plus some extras) to help keep all of your Star Wars memories contained and showcased in a beautiful layout. 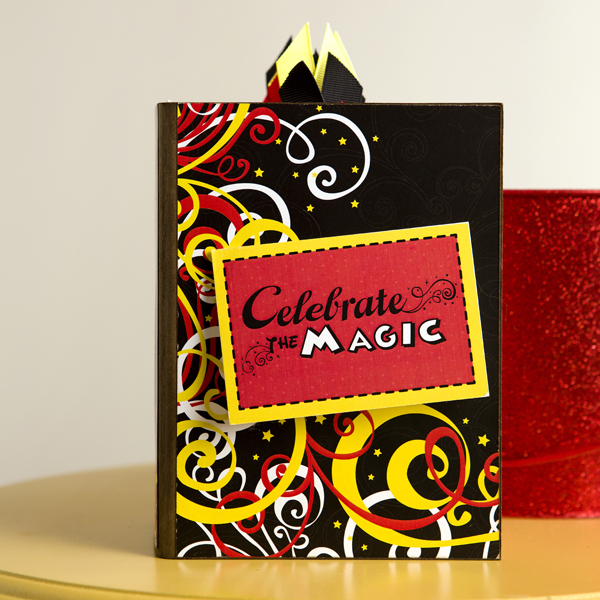 What products will be highlighted: Paper Wizard laser-cut titles, embellishments, punches, and a variety of adhesives. What will I learn or complete: A two-page specialty layout, featuring a brand new Paper Wizard title and embellishments. What do I need to bring: 12" paper trimmer, corner rounder, detail scissors, adhesive (dry and liquid), and pop dots. What techniques will I learn or use: Basic skills such as trimming photo mats, using a punch, layering titles, getting the most out of specialty paper, as well as using various adhesives and papers to create unique effects. Create a 6 x 8" album filled with Simple Stories Elements and Journaling Cards using a variety of new scrapbooking techniques. 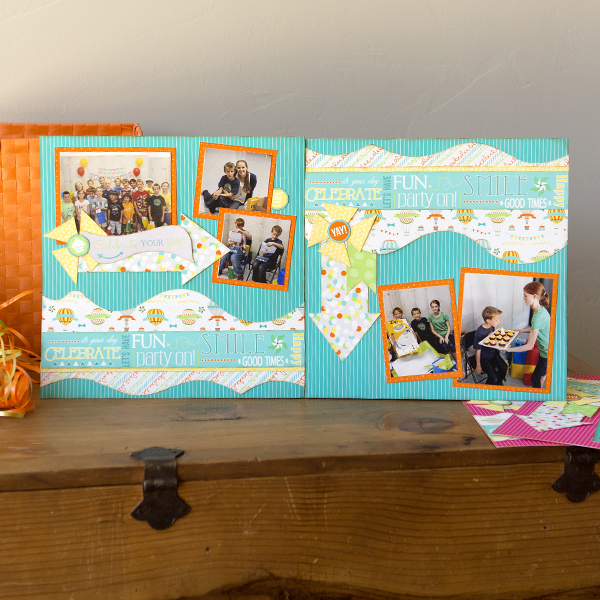 We will be creating a summer-themed album filled with fun colors, chipboard inserts, and interactive pages. Join us in this workshop where you will leave with a beautiful album ready to put in your special summer vacation pictures. What products will be highlighted: Learn to create a 6 x 8" album filled with Simple Stories Elements and Journaling Cards using a variety of new scrapbooking techniques. What will I learn or complete: A 6 x 8" summer album for summer vacation memories. You will make a variety of creative pages. What do I need to bring: 12" paper trimmer, 3-in-1 wet adhesive OR red tape, and adhesive of your choice. Optional: Inks (Quick Quotes Baja Blue). What techniques will I learn or use: How to use Sn@p album and pocket pages. TYou will create special pockets and dimensional pages. It can be summer all year with these beautiful summer, good weather layouts. We will make a mini book with spaces for up to 8 or 9 photos and will take up just four inches of space on your page. 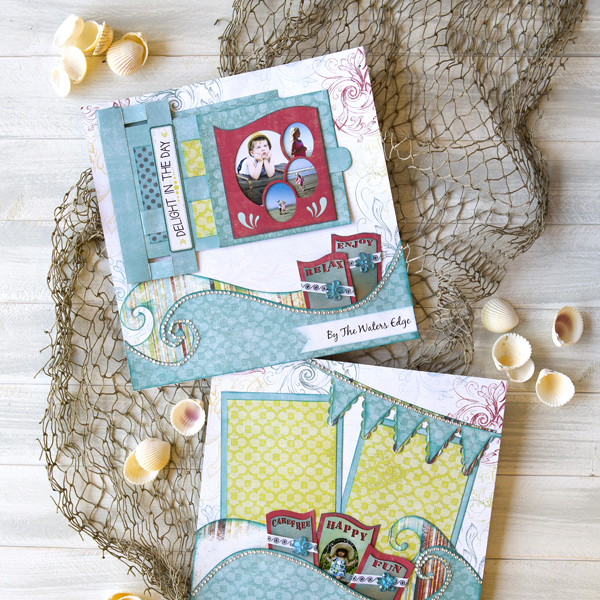 You will get to make four 12 x 12" layouts from our NEW Anchors Aweigh paper line. Two layouts will be made in class and you get two coordinating pages to take home as a gift. This new paper line with sunshiny colors has been a super popular addition to our newest paper lines. Come join the fun! Get your Powder Puff Chalk Ink supplies at the A to Z booth. Ask about the great deal on companion pages to this class. Get a booth coupon with specials for class attendees and also a free quote just for visiting the A to Z booth. What products will be highlighted: New Anchors Aweigh paper line, embellishments and mini book making. What will I learn or complete: You will have product for four pages. Two will be done in class and two are a coordinating gift for you to take home. What do I need to bring: Quick Quotes Powder Puff Chalk Ink Suggestions: Aqua, Baja Blue, Sunset; Basic Supplies: Scissors, trimmer, and adhesive. What techniques will I learn or use: Chalking with Powder Puff Chalk ink and also making a book that holds up to nine photos. Do you have a few great pictures that you have not documented yet? In this fast-paced Echo Park Paper class, you will create three one-page layouts starring your favorite photos. Craft instructor Nicole Petersen will play along with you as you discover The Story of Family paper collection along with Echo Park's famous solid background paper, dies, and stamps to create three unique scrapbook layouts. In this exhilarating class, you will also discover how to use simple word dies to add that extra punch to your pages. And don't forget the sequins! But one of the best parts is you will even get to KEEP one word die (wonderful, dreams, or blessing) by Echo Park! Door prizes are always a FUN part of class. In The Story of Family Class, Echo Park will be giving away two door prize packs and Nicole Petersen will also give away even more door prizes! Be sure to join Echo Park and Nicole Petersen at your next event. This kit is a $40 value! Plus, all class participants will receive a 10% off coupon for Nicole Petersen Designs booth on the vendor floor. Your kit will contain: 14 sheets of paper from The Story of Family paper collection by Echo Park, cardstock, a custom die, sequins, pre-cut heart die cuts, twine, and more! What products will be highlighted: Cardstock, Echo Park patterned paper, sequins, twine, dies by Echo Park, hybrid ink by My Favorite Things, and more. What will I learn or complete: Three 12 x 12" layouts. What do I need to bring: Paper trimmer, scissors, dry and wet adhesive (no Zip-Dry, please), and foam dots or strips. What techniques will I learn or use: Paper layering, die-cutting, photo-first scrapbooking, stretching your stamps, the right embellishments to add (NOT distract), and much more. Color, Array, Hue, Shade. Do any of these words make your nose twitch or ears perk up? In Nicole Petersen's Thinking About Inking class, you will learn the ins-and-outs of ink used for card making, scrapbooking, art journaling, and mixed media. In this interactive lecture/discussion class, you will interact with fellow crafters to experience the pros and cons of many ink types. You will receive a custom-designed Thinking about Inking Booklet with facts about dye ink, pigment ink, hybrid ink, embossing ink, white ink, and solvent ink. In this interactive booklet, you will create your own samples for future reference using a variety of ink. Come join in the fun as Nicole Petersen walks you through the maze of inks in the craft world. You will leave understanding which inks you will enjoy and which ones you want to leave on the shelf. What products will be highlighted: A custom made stamp by Nicole Petersen, a Thinking About Inking Booklet, one hybrid ink pad, one dye-based ink pad, one pigment ink pad, one solvent-based ink pad, white ink, embossing powder, heat gun, stamp mat, stamp cleaning fluid, and stamp scrubber. What will I learn or complete: A Thinking About Inking Booklet of the different types of inks and their uses. What do I need to bring: Baby wipes, a regular pen, and a medium acrylic block. What techniques will I learn or use: Ink types, situations to use different inks, stamping, better results of stamping, quality of stamps, stamp mats, embossing, pros and cons of different inks, photopolymer stamps, wood-mounted stamps, cleaning of stamps, cleaning fluid, storage of inks and stamps, and much more. Expand your watercolor knowledge with new products and techniques! We'll go over the basic supplies you need to start watercoloring and explore some great, brand-new watercoloring options including Spectrum Sparkle, Prima Watercolor Pencils, Micro Glaze, Spectrum Aqua, Gansai Tambi, and Tim Holtz Distress Crayons. Your class kit will come with a great stamp you can take home as well as some other surprises. Karen will offer a lot of product education and fun tips, so get ready to play! What products will be highlighted: A variety of watercolor products will be played with including paints, pencils, markers, and other mediums. You'll receive a stamp to take home. What will I learn or complete: Stamped and watercolored projects, plus a stamp to keep. What techniques will I learn or use: The basics to get started watercoloring, plus how to use a variety of watercolor products and differences between them.